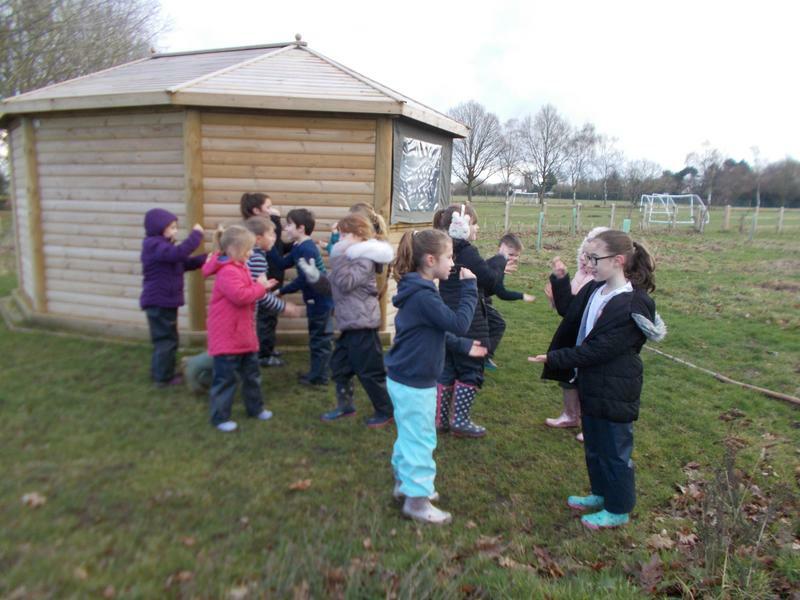 - The Friends of Hingham School purchased a temporary fence and a shed to store resources . 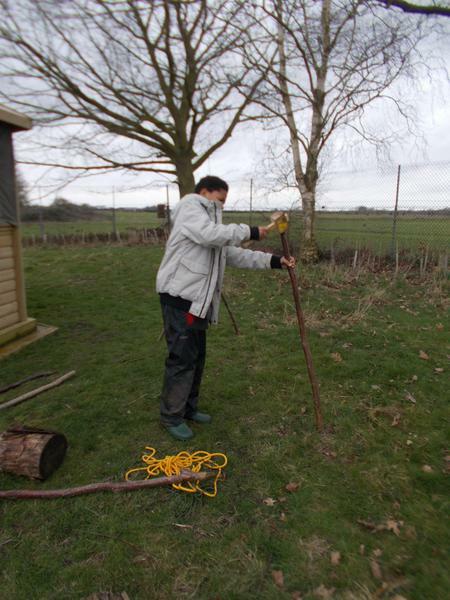 - Easton College sent a team from their Arboriculture department to help plant trees (February 2017) and hedgerow plants (December 2017) donated to us by the Woodland Trust. 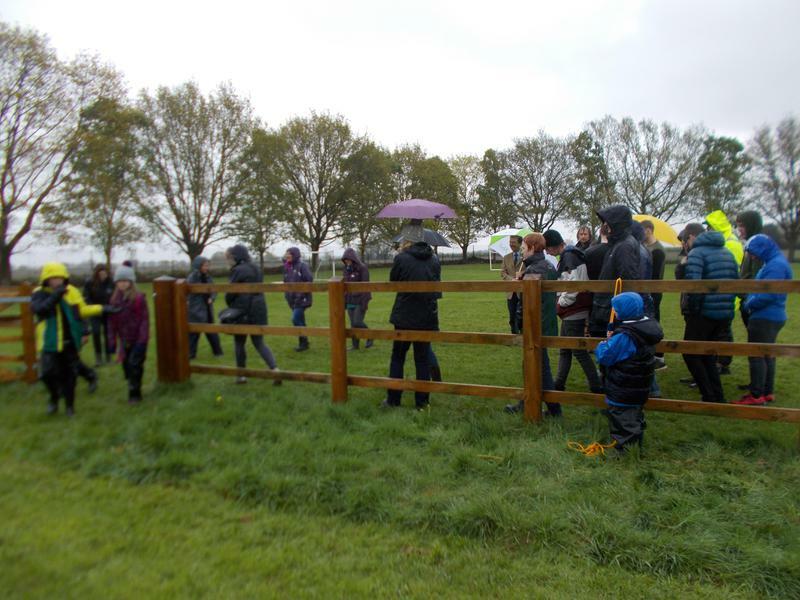 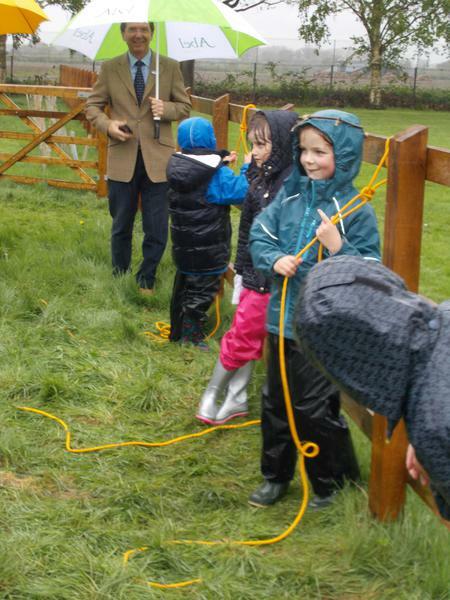 - Abel Homes erected a permanent 60m fence around the designated Forest School area. 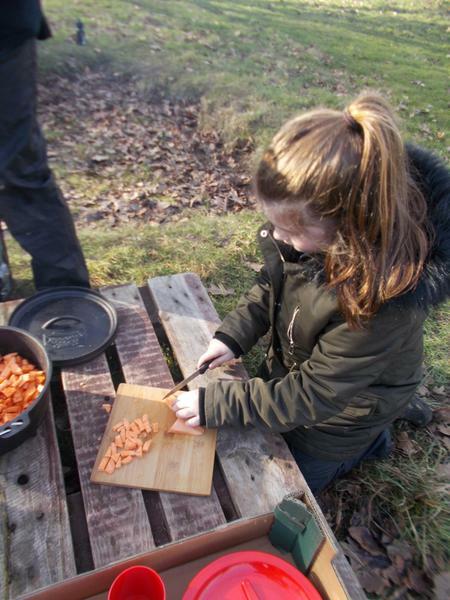 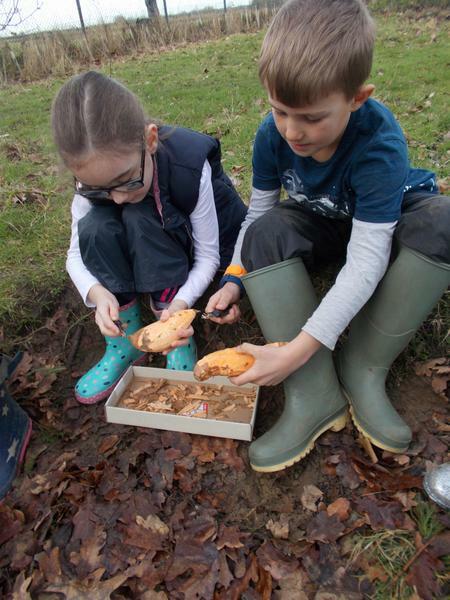 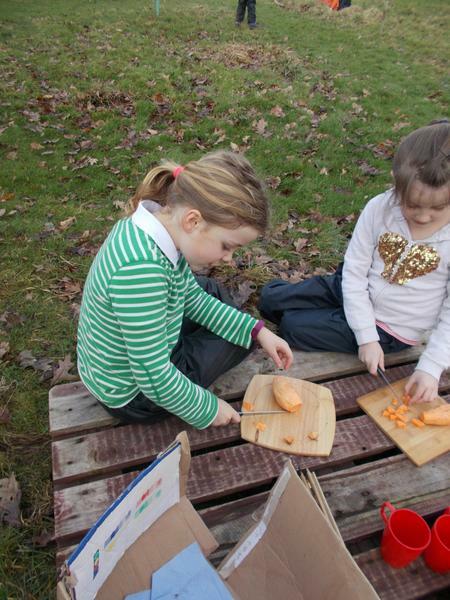 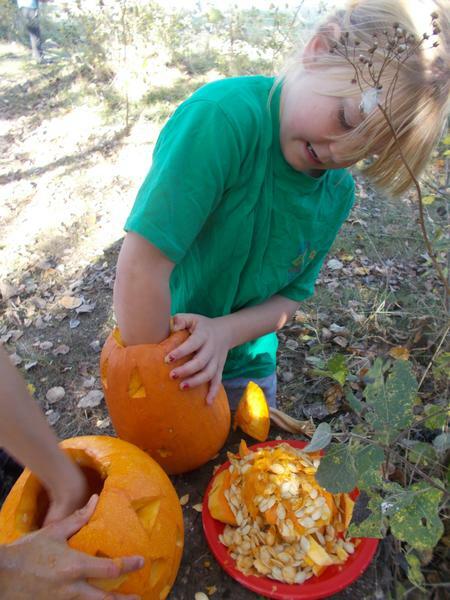 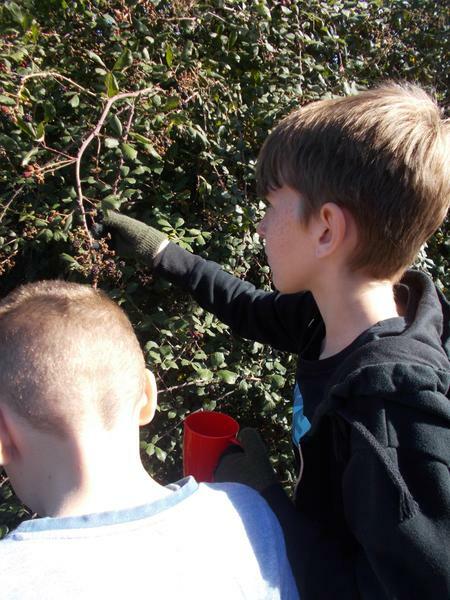 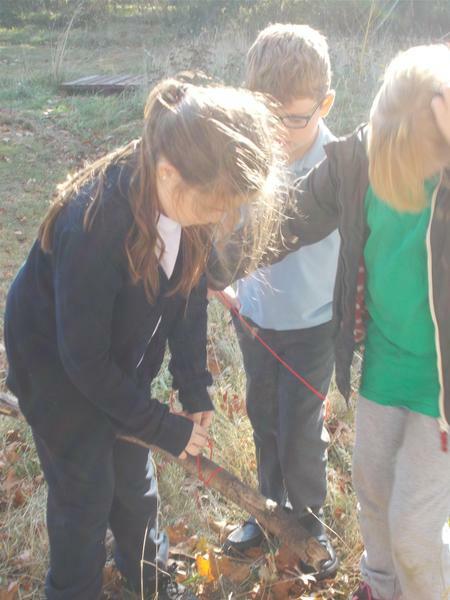 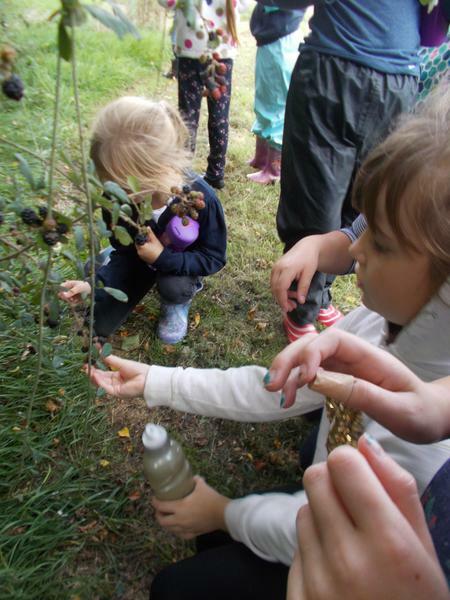 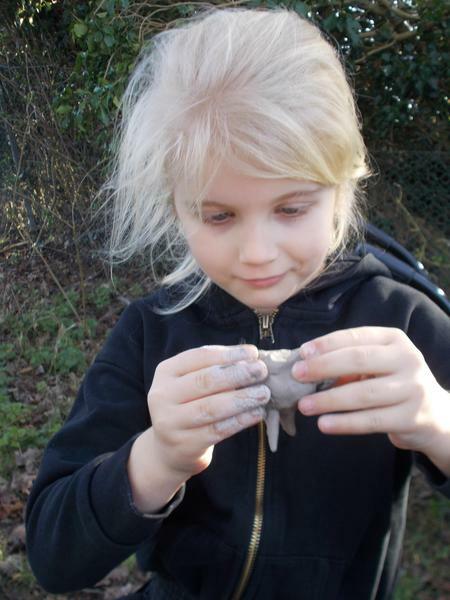 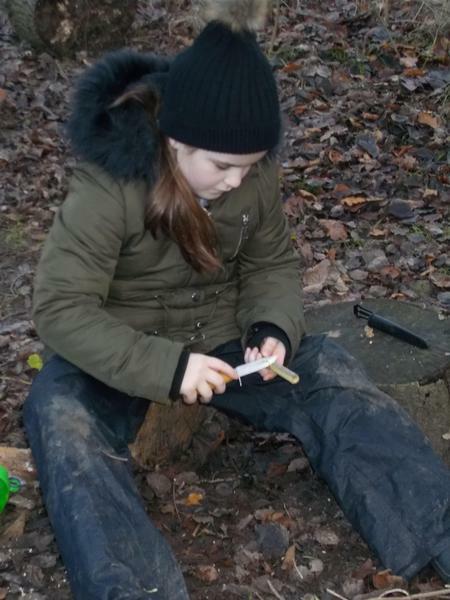 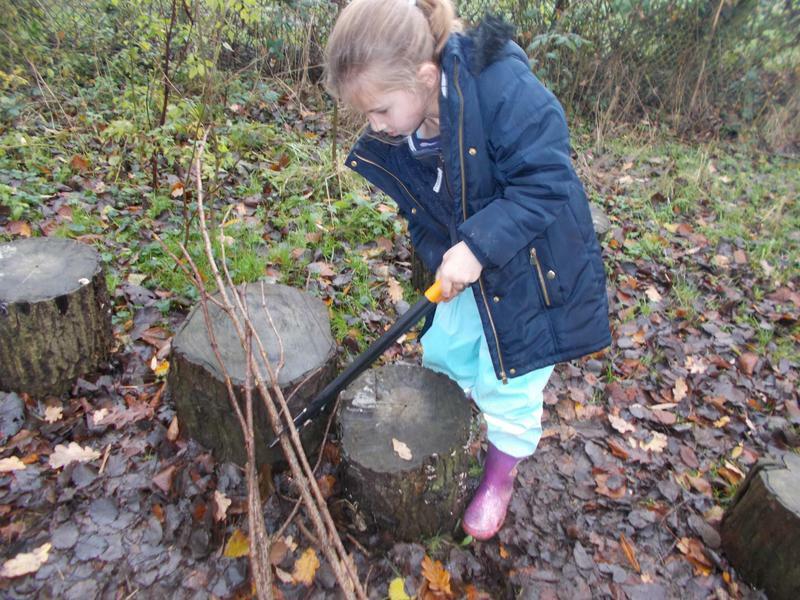 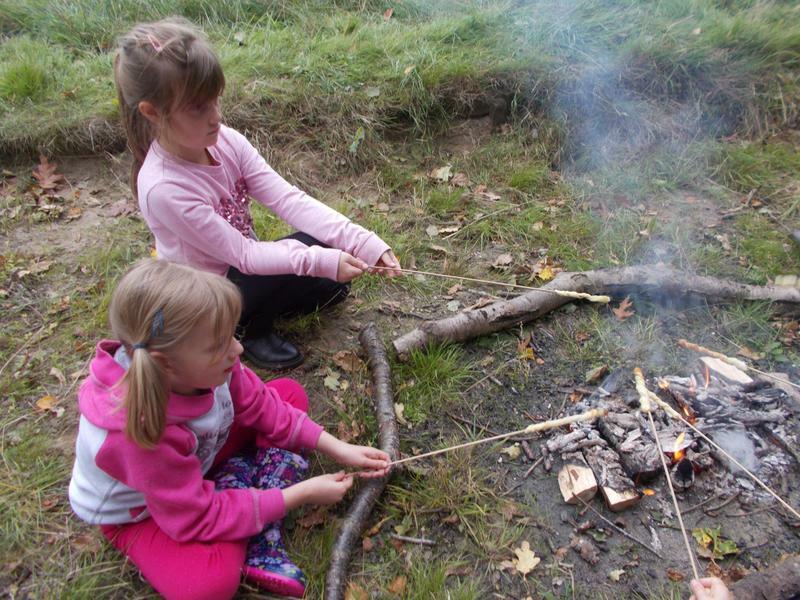 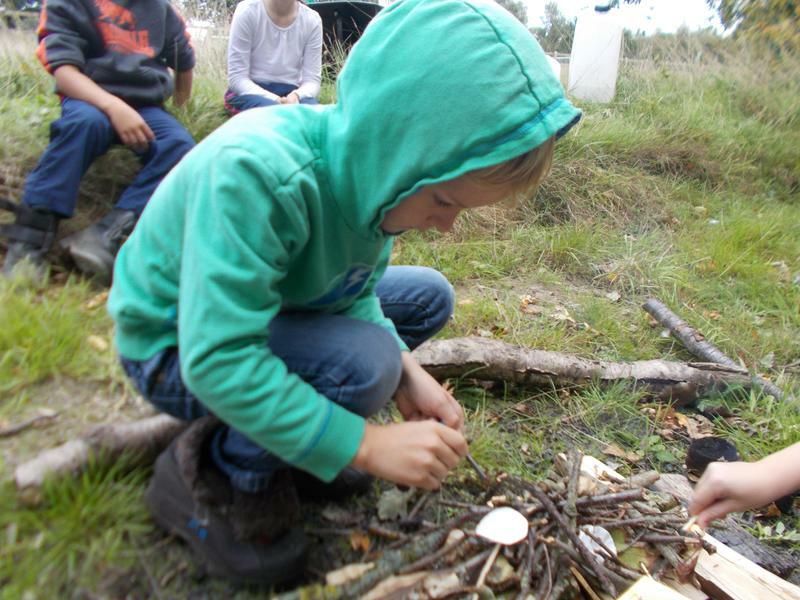 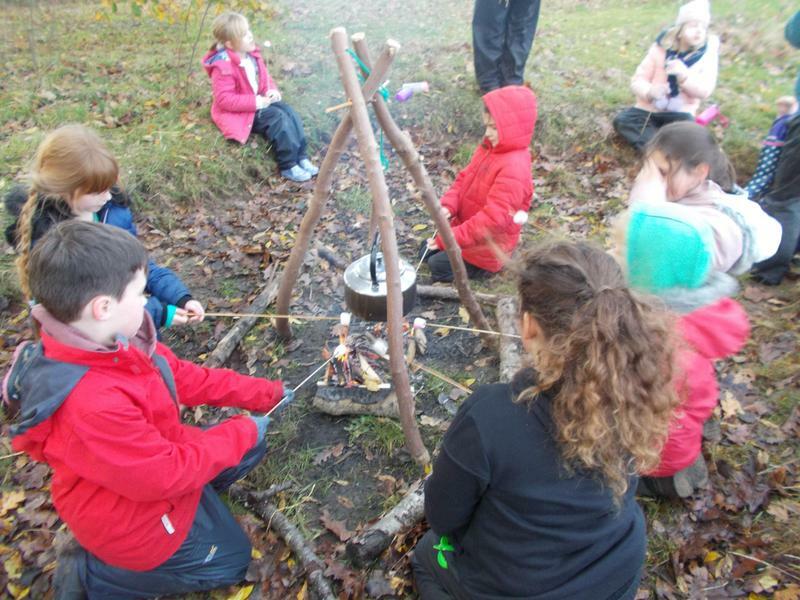 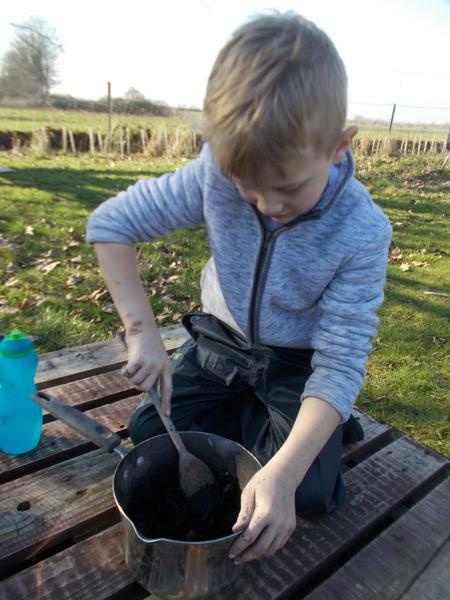 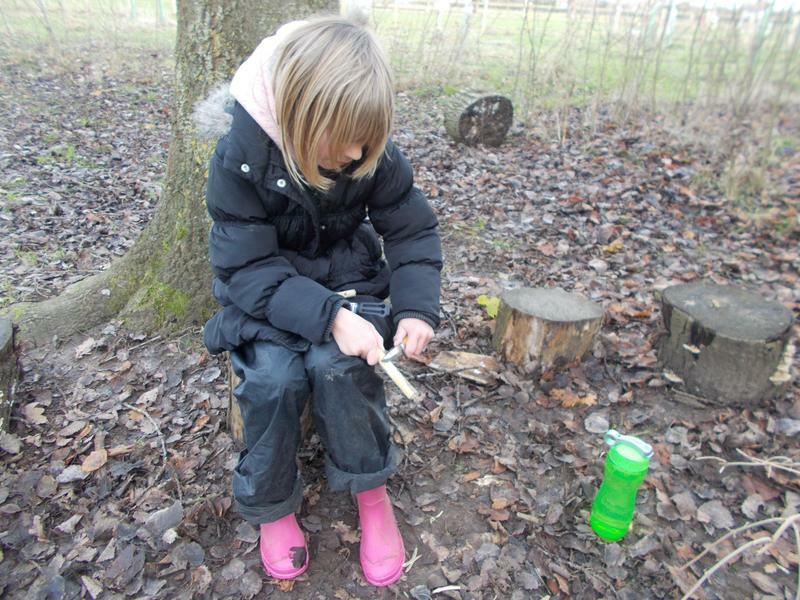 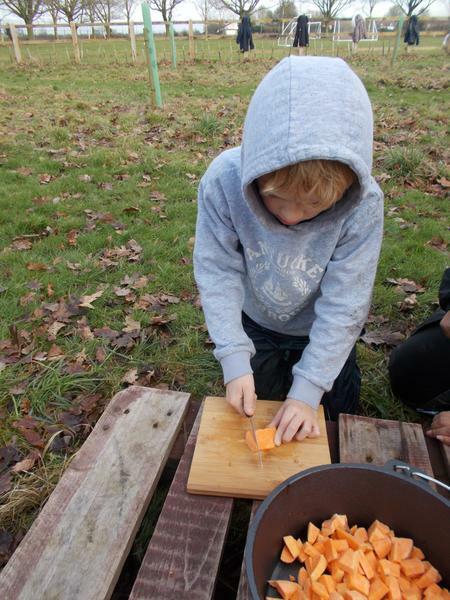 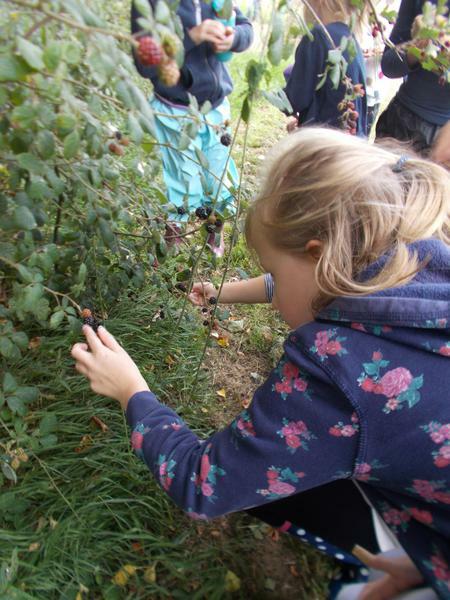 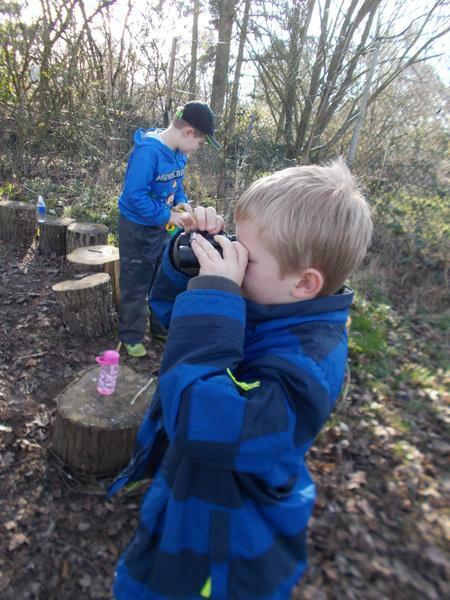 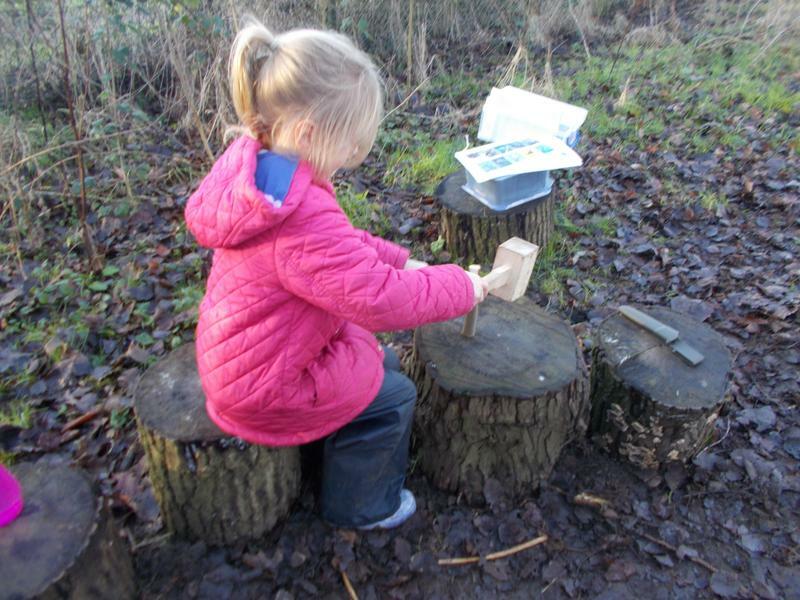 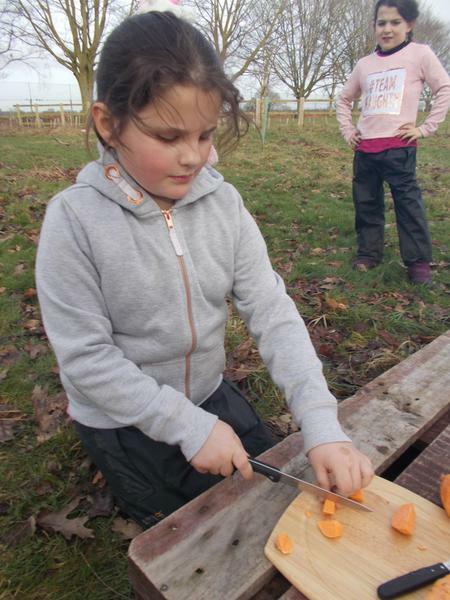 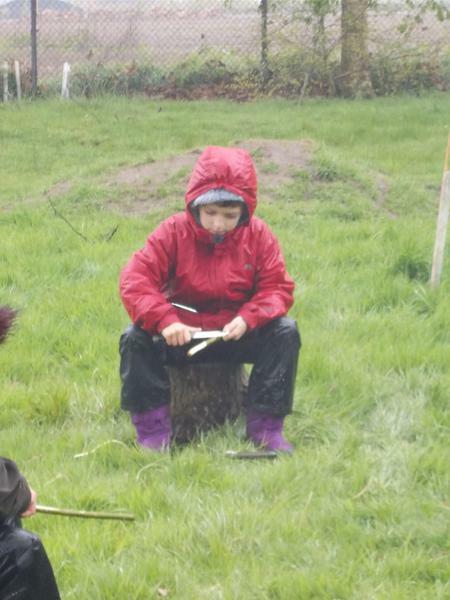 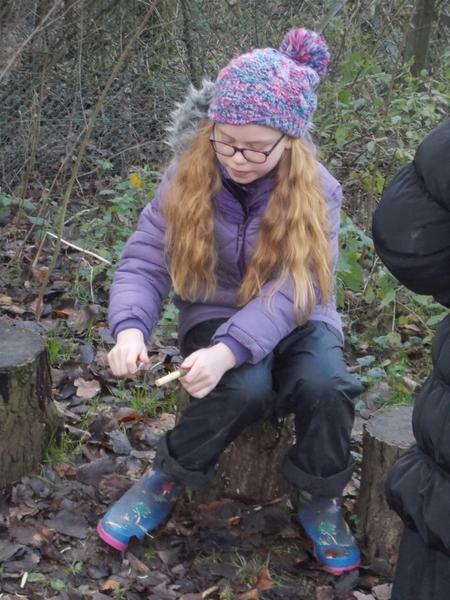 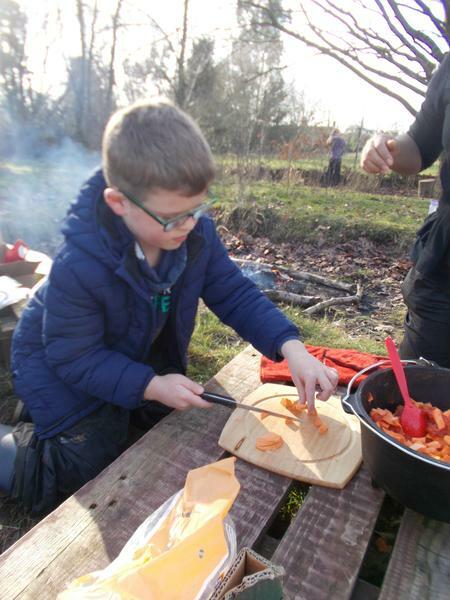 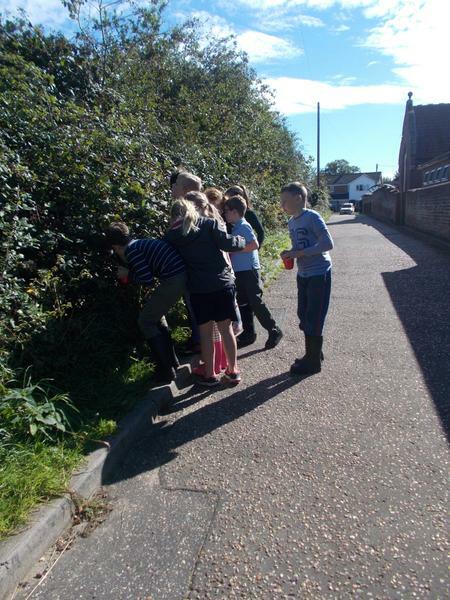 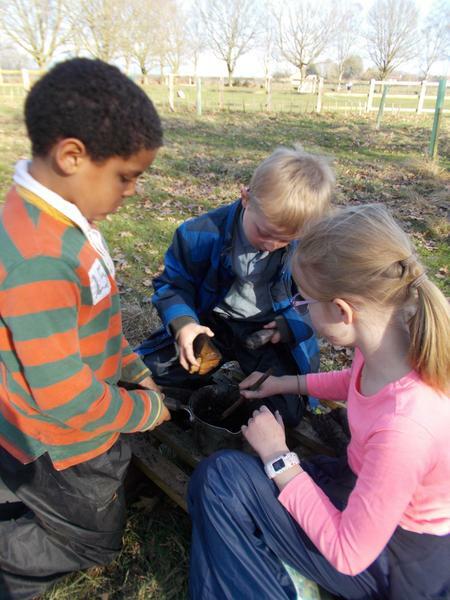 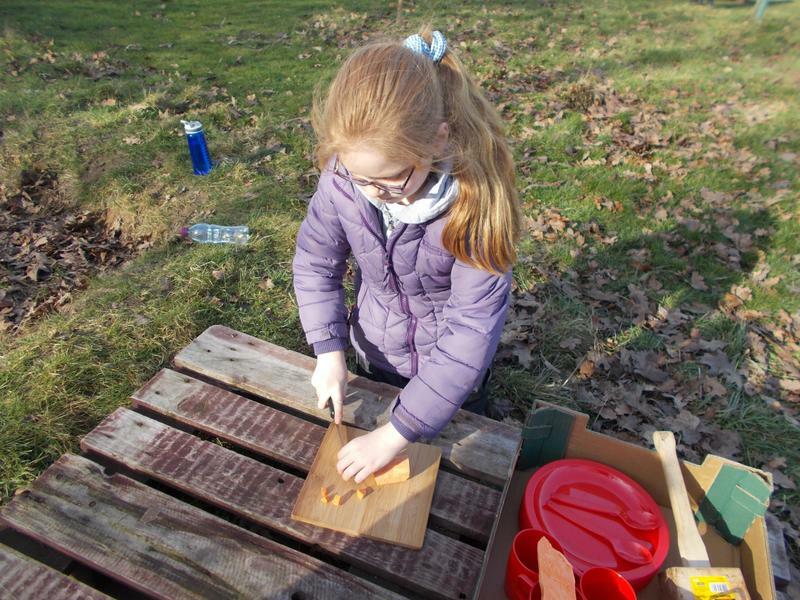 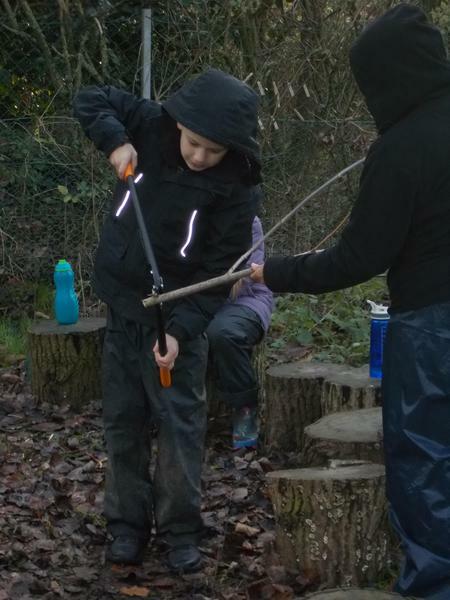 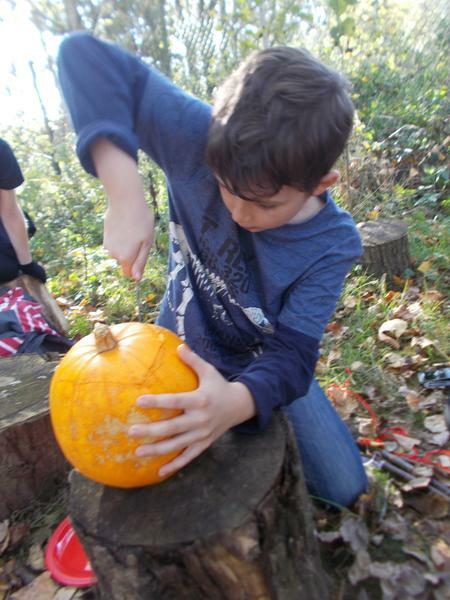 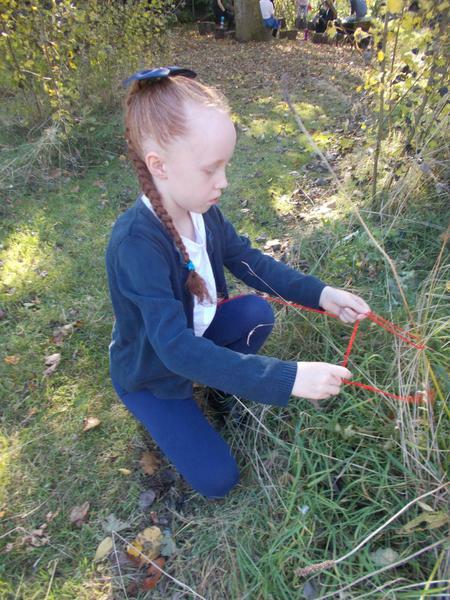 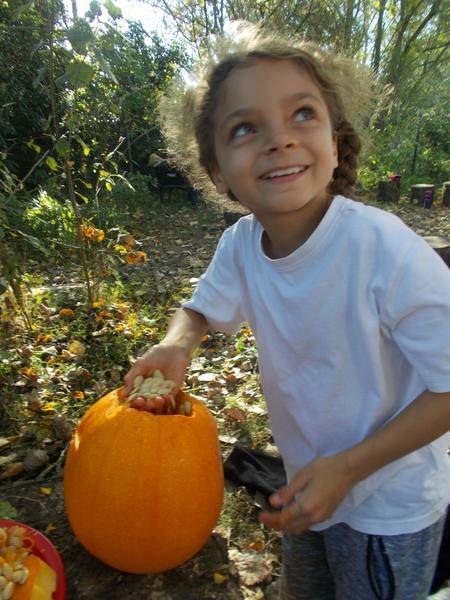 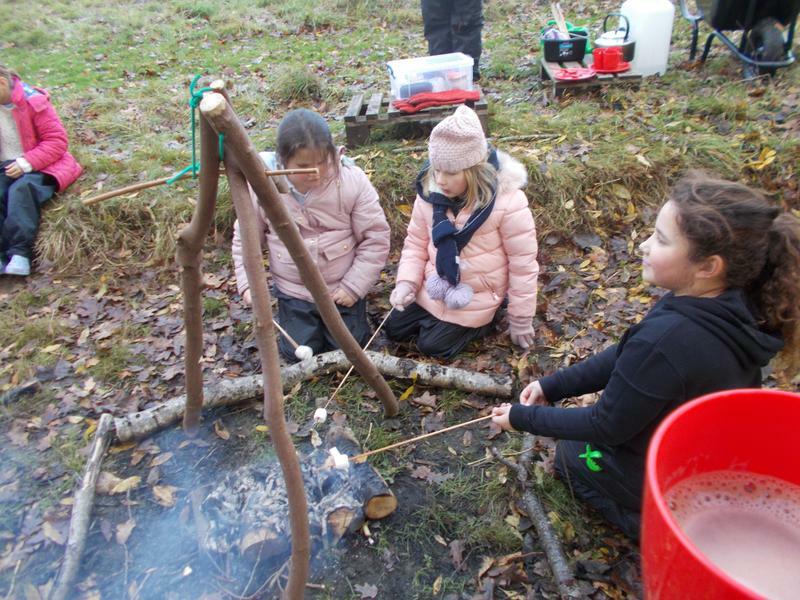 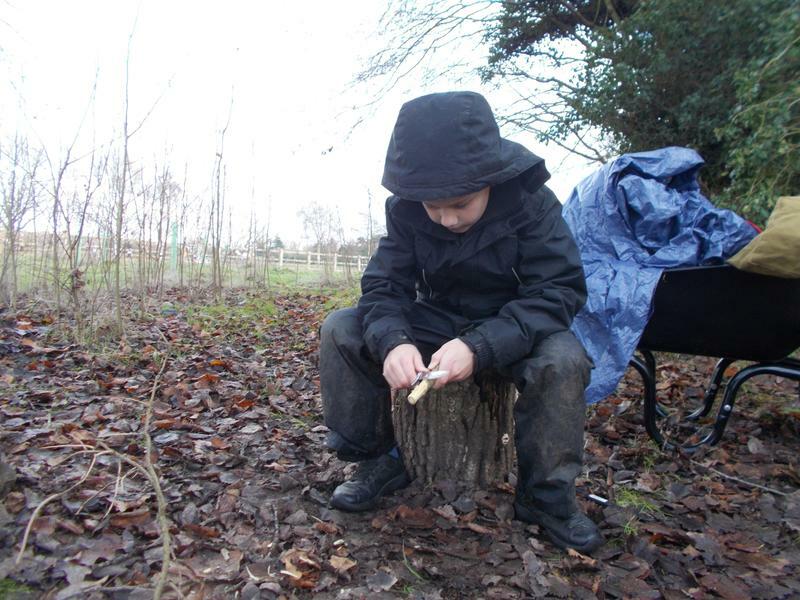 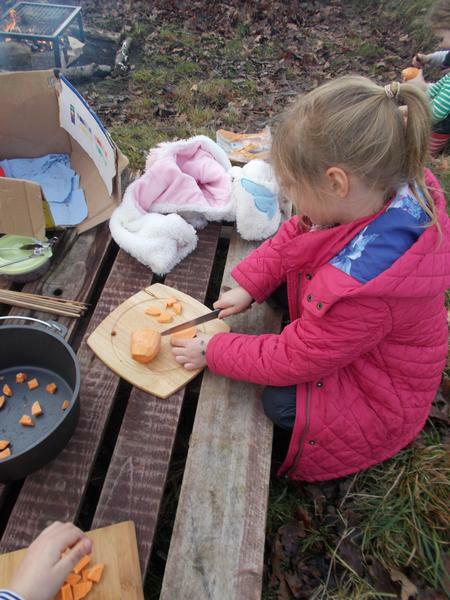 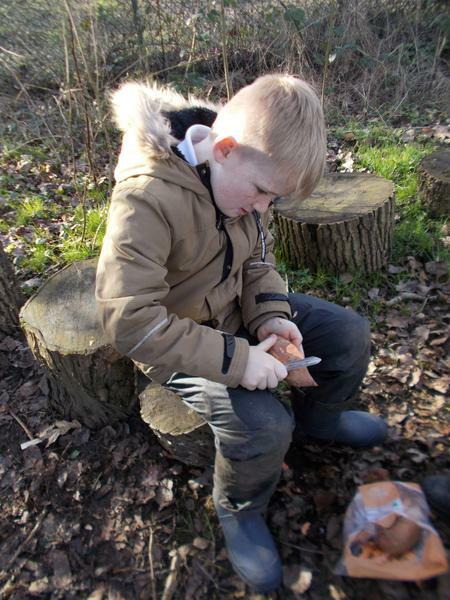 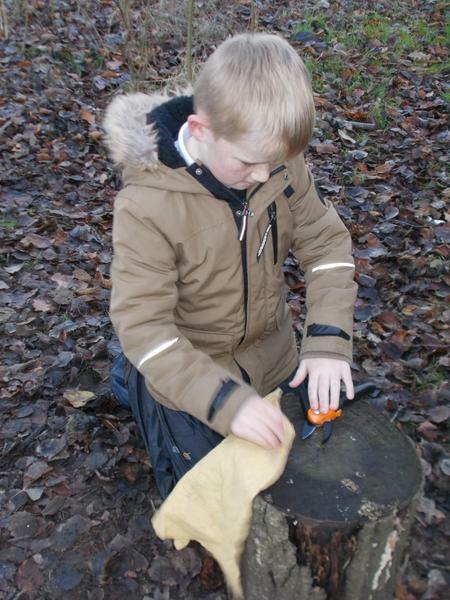 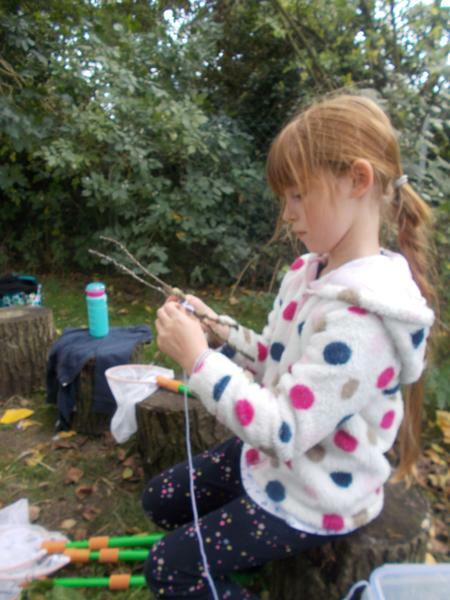 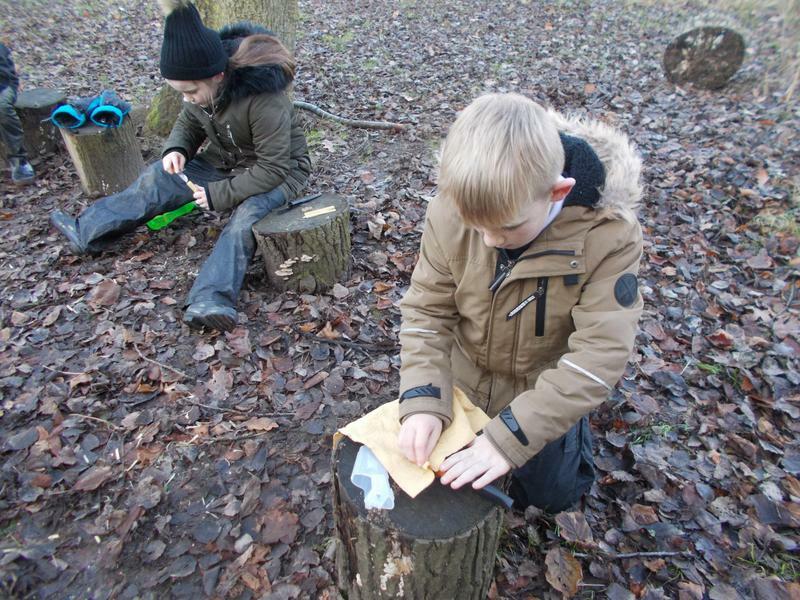 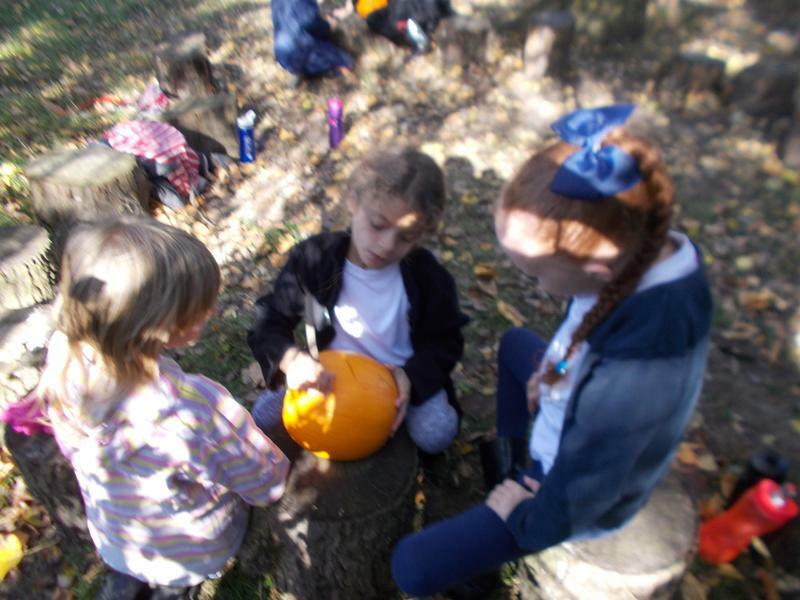 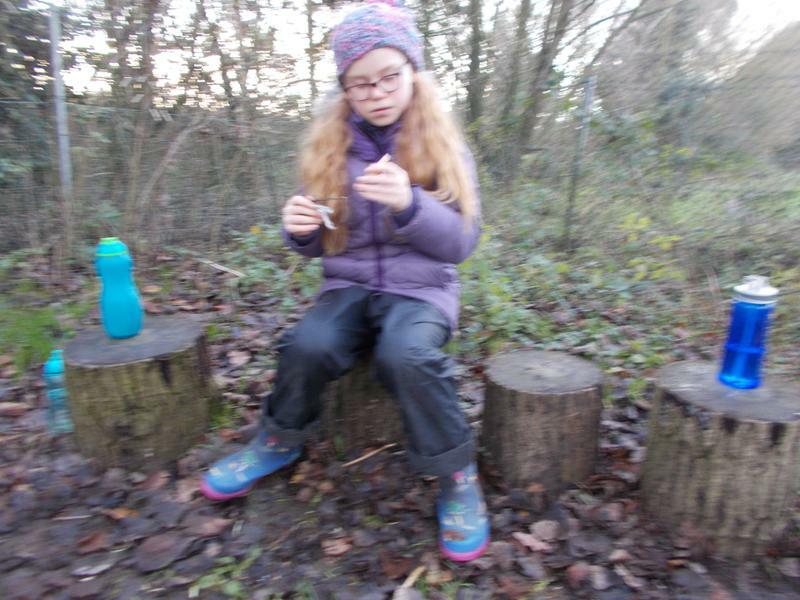 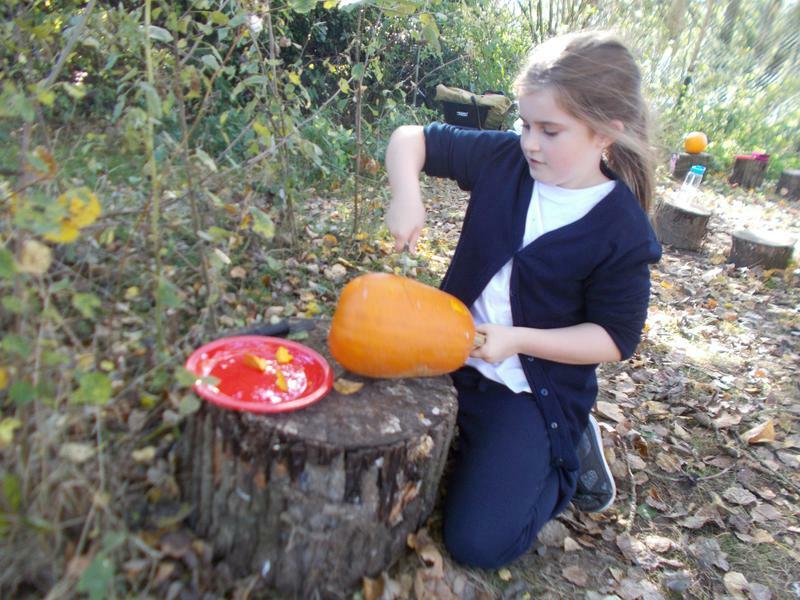 - The Ernest Cook Trust awarded us a grant of £1,350 to purchase tools and resources to use during our Forest School sessions. 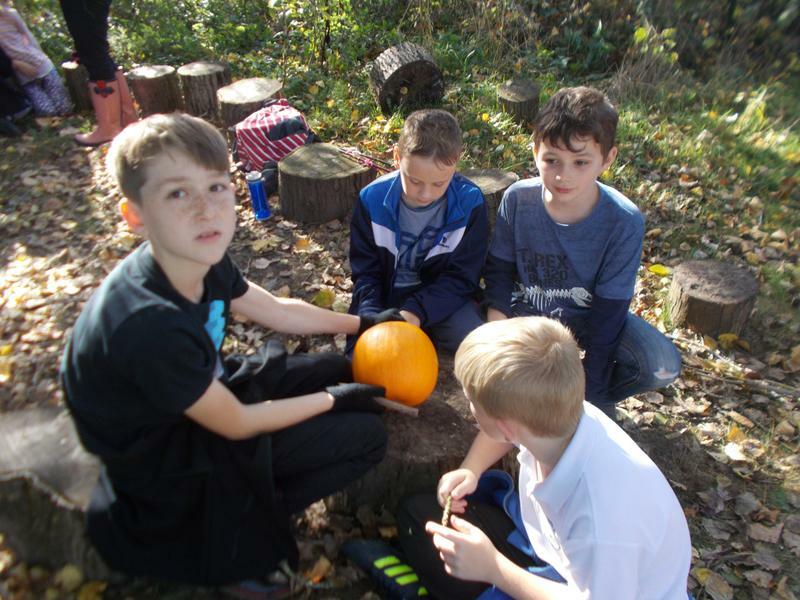 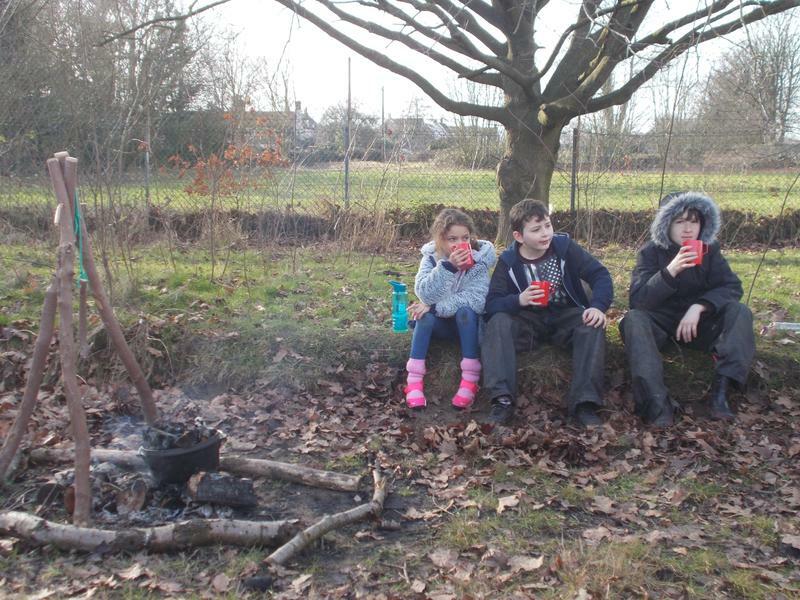 - Norwich Town Close Estate Charity awarded us a £10,000 grant to build an outdoor classroom in our developing woodland area. 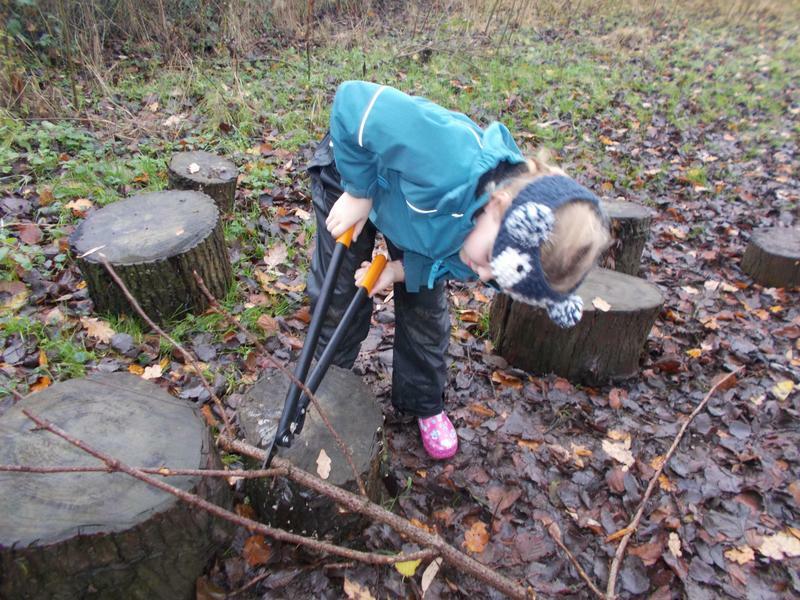 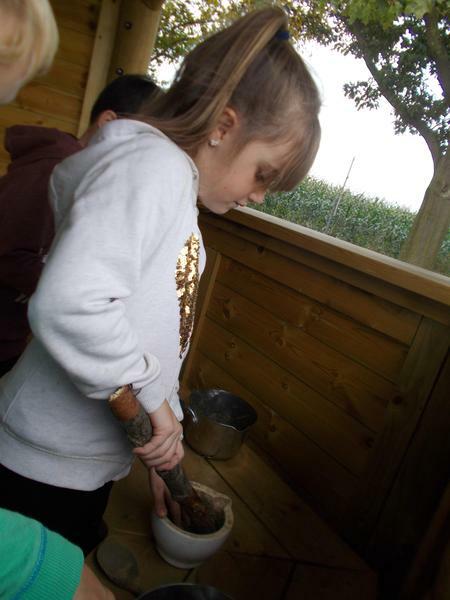 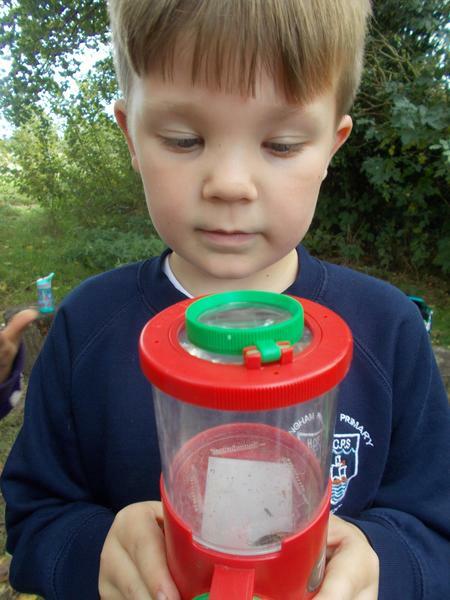 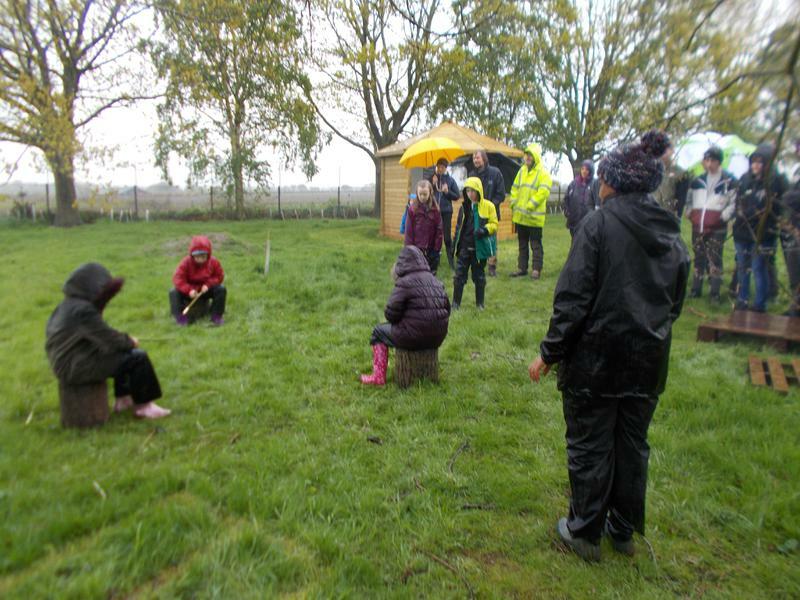 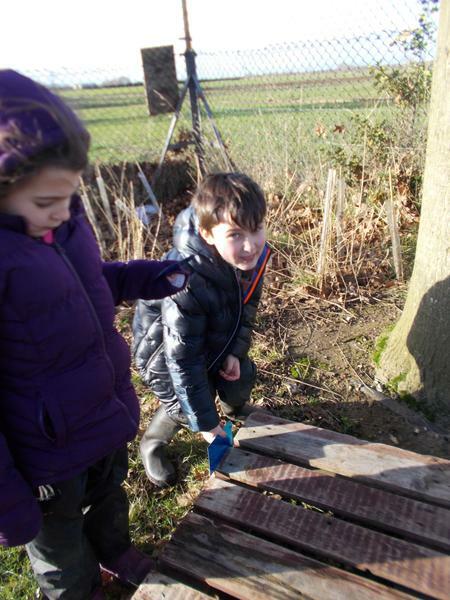 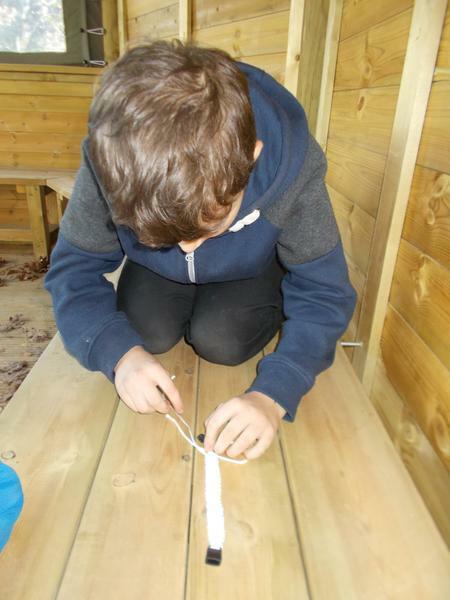 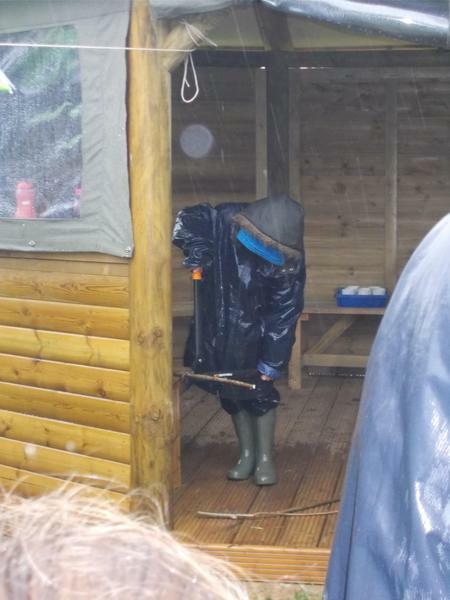 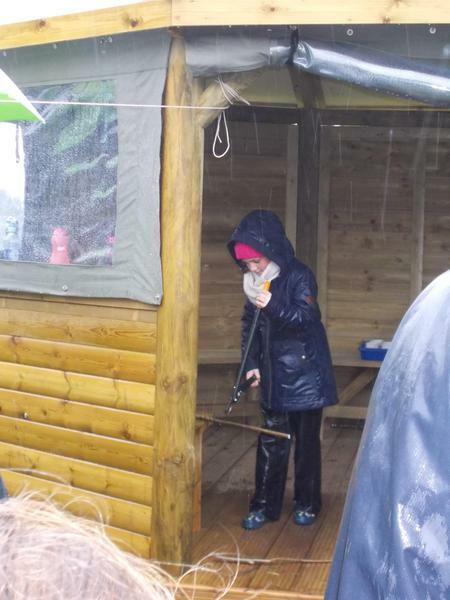 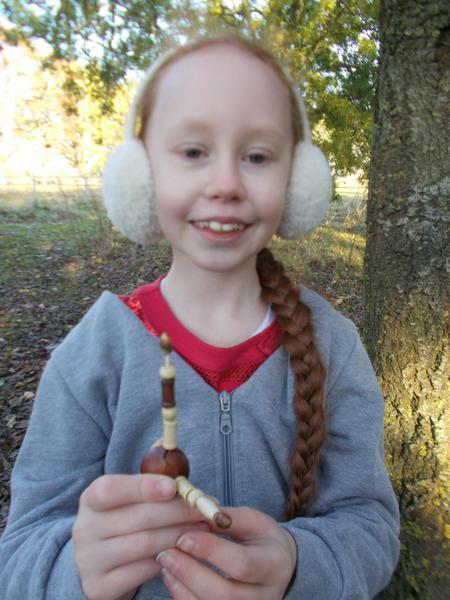 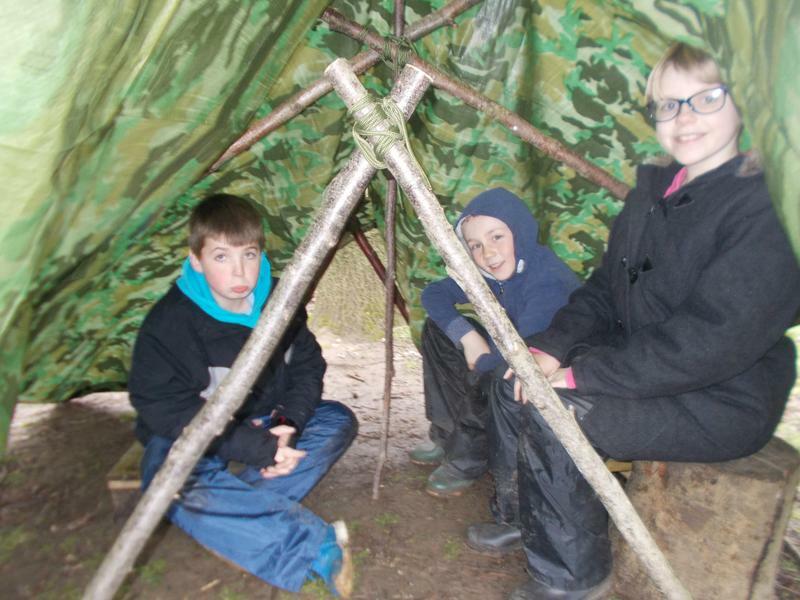 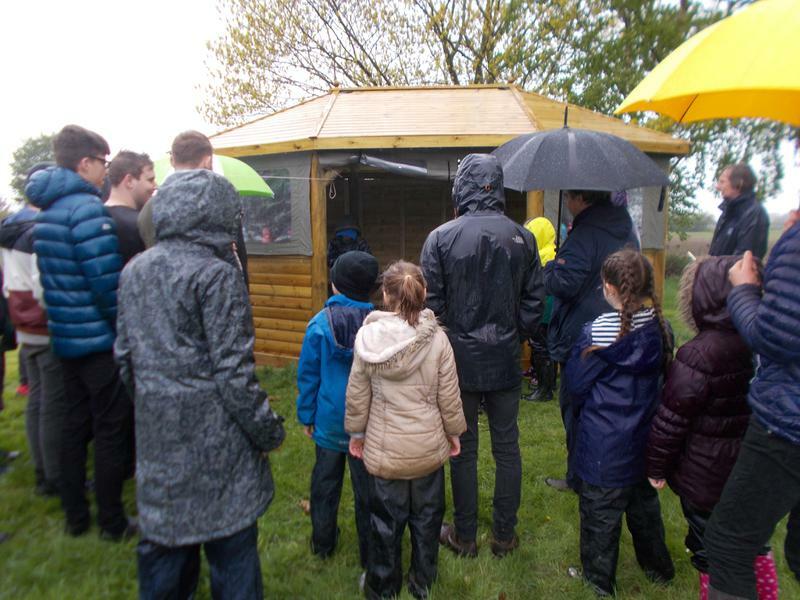 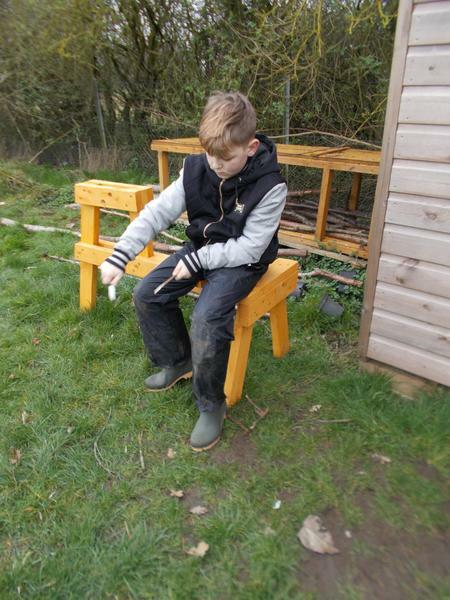 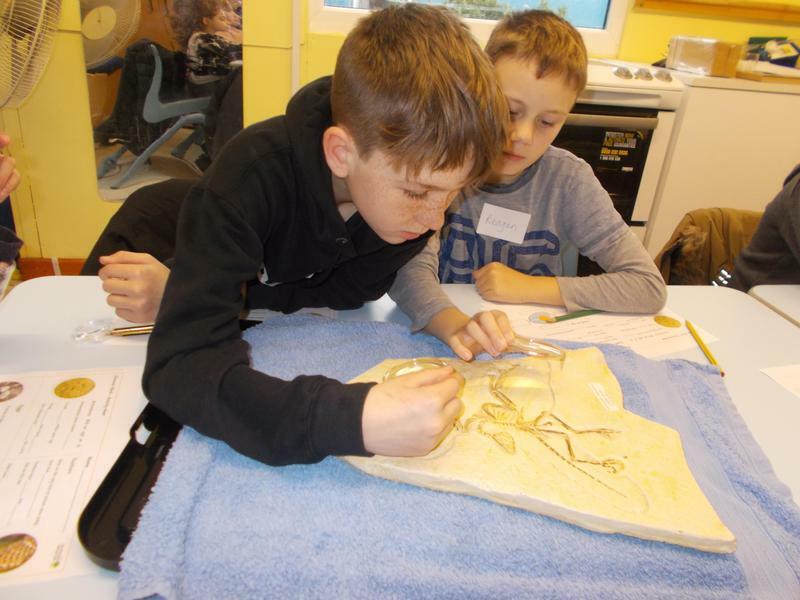 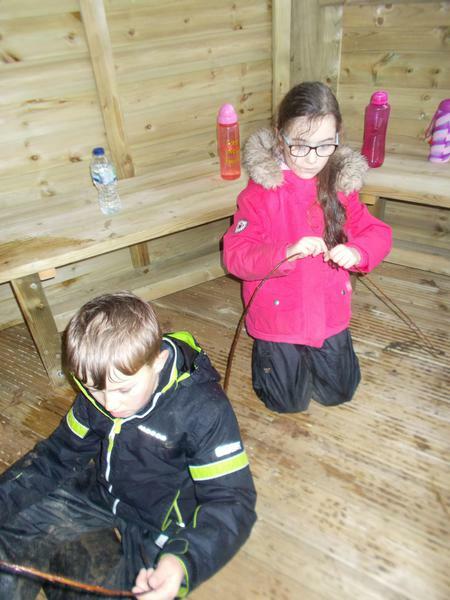 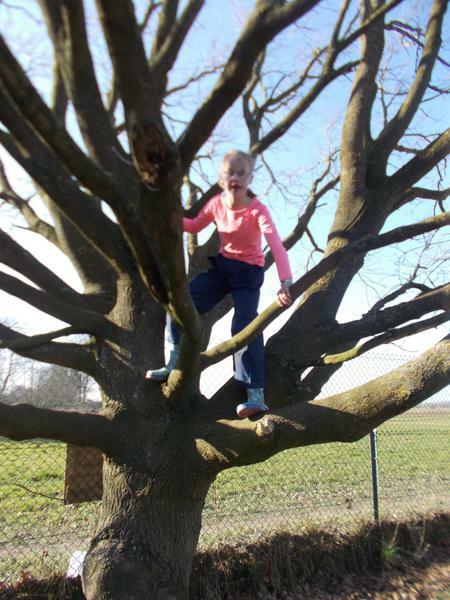 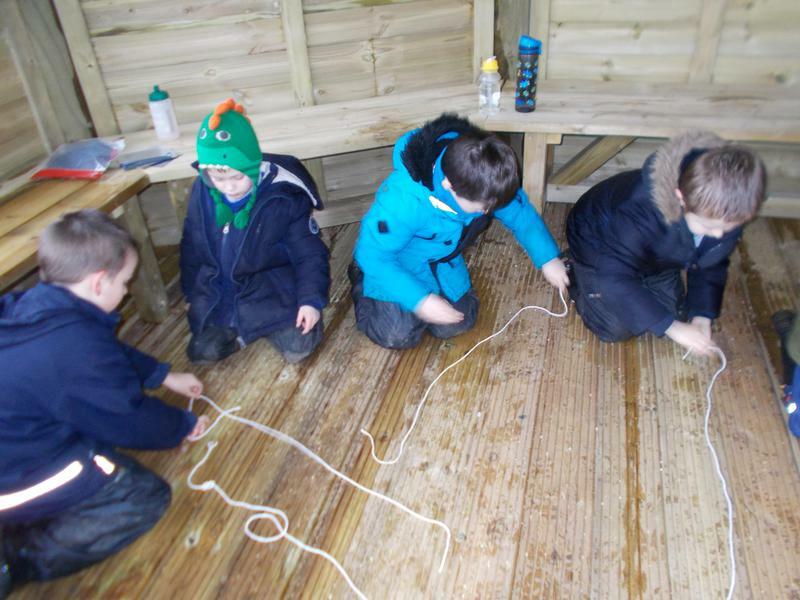 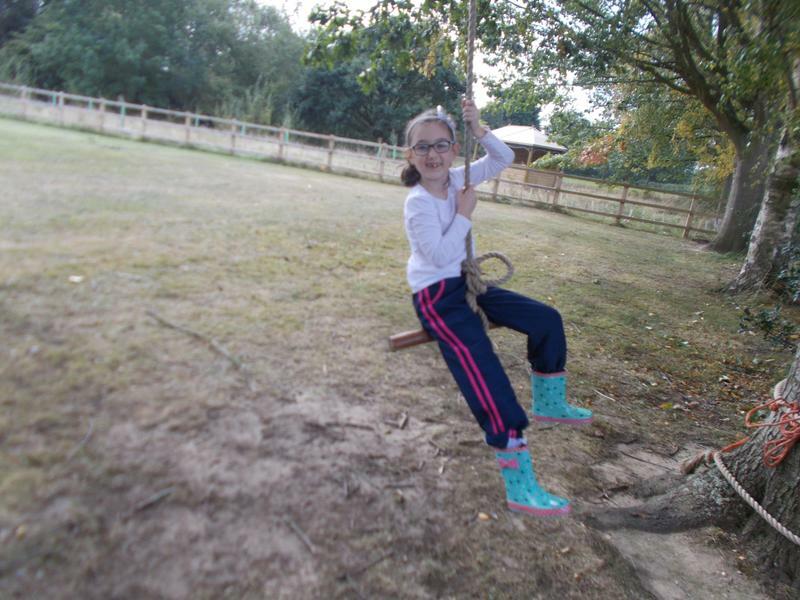 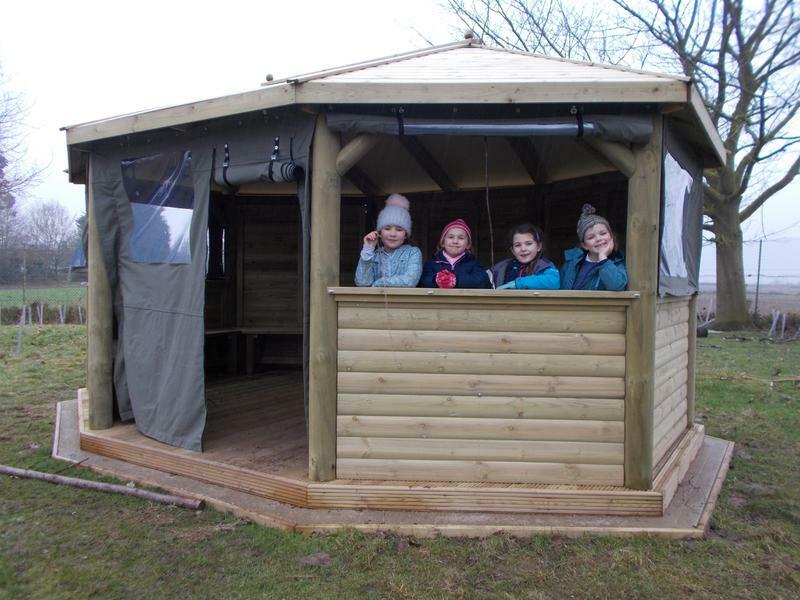 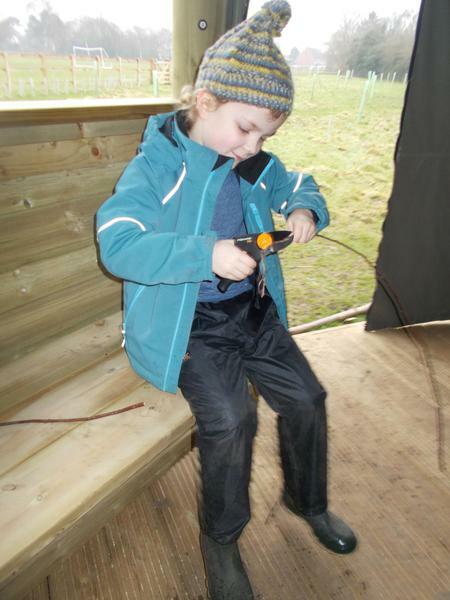 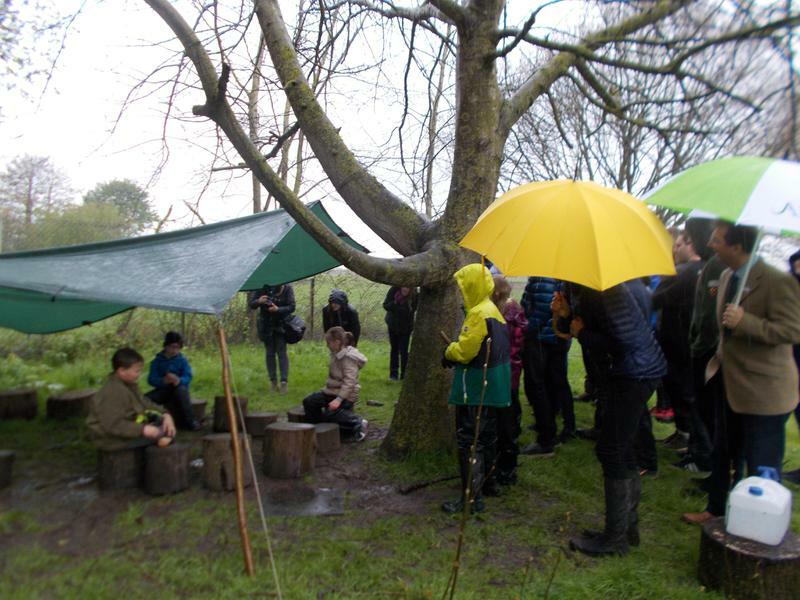 - Norse awarded us a £750 grant to make our outdoor classroom fully accessible. 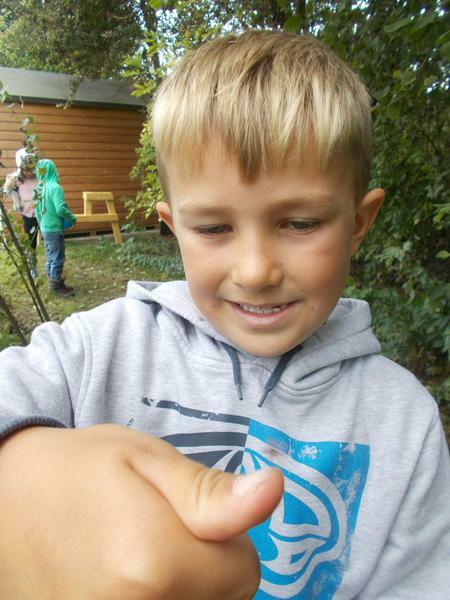 Thank you to all the organisations that have helped us on our journey. 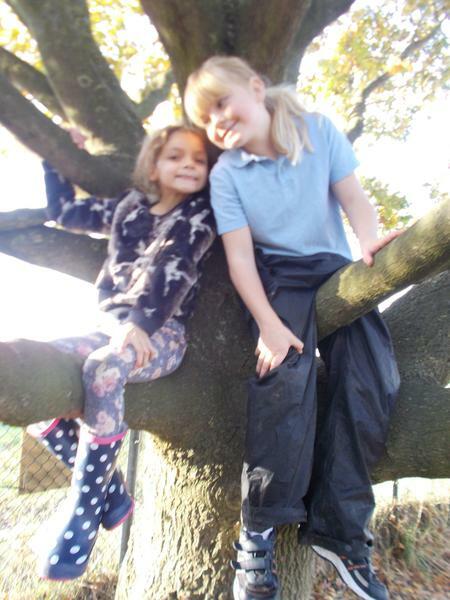 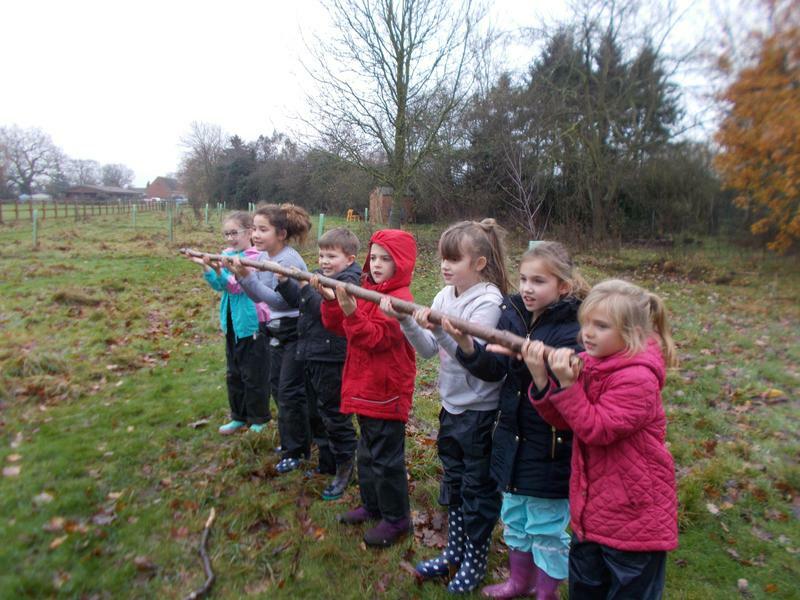 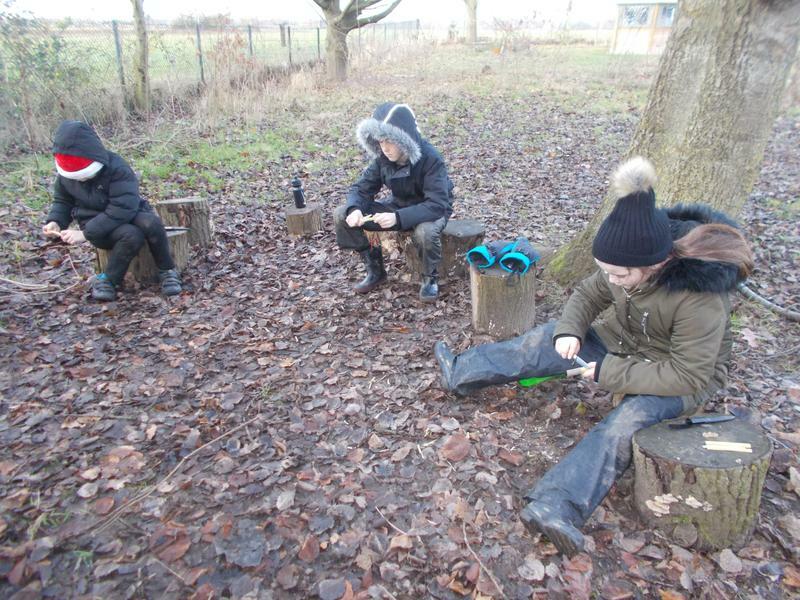 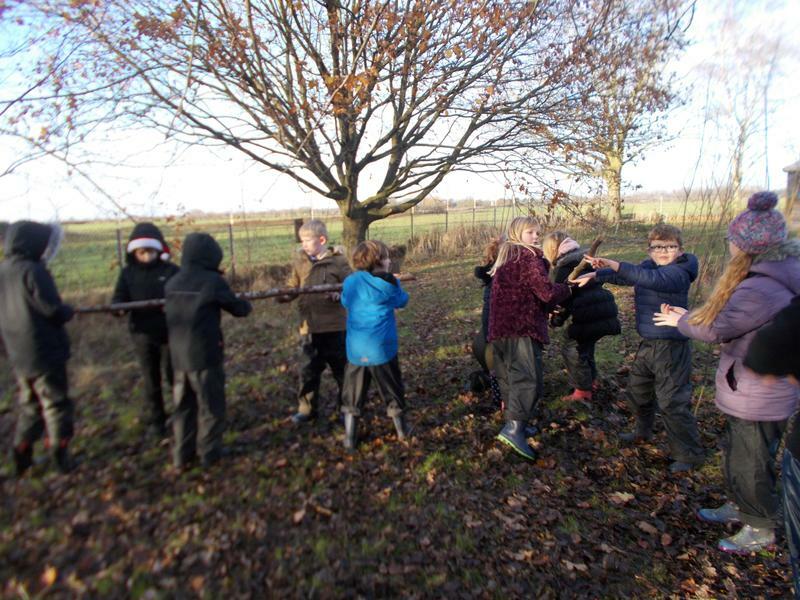 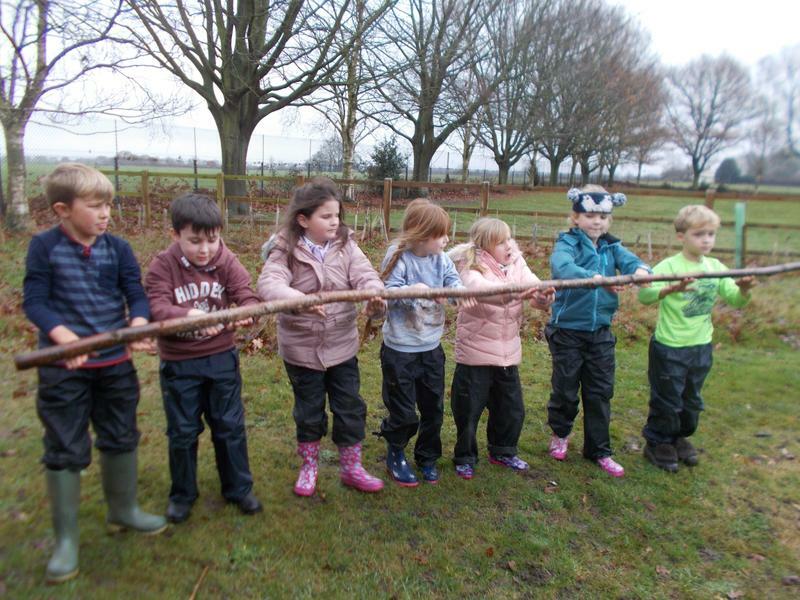 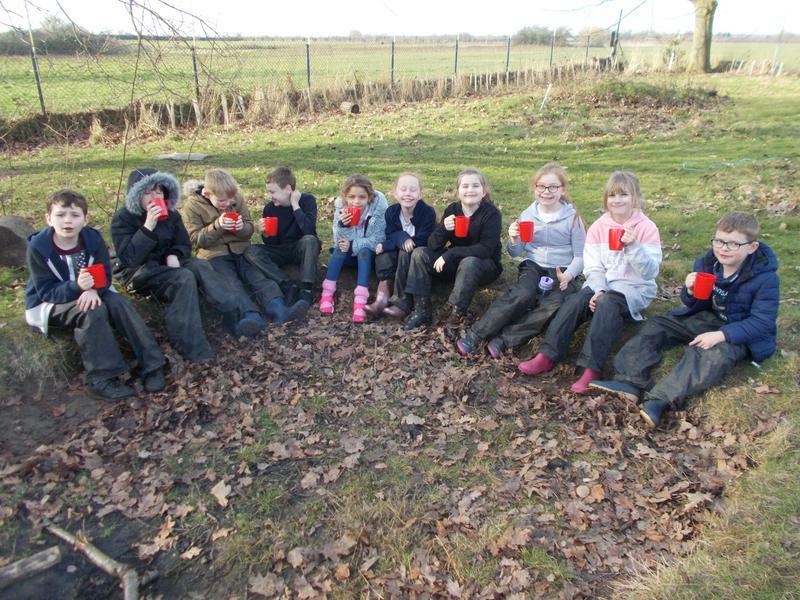 Click on the above link to listen to Mrs Newrick, our Headteacher, and some some of our pupils talking to Wally Webb about Forest School (We are on 2 hours and 24 mins into the programme). 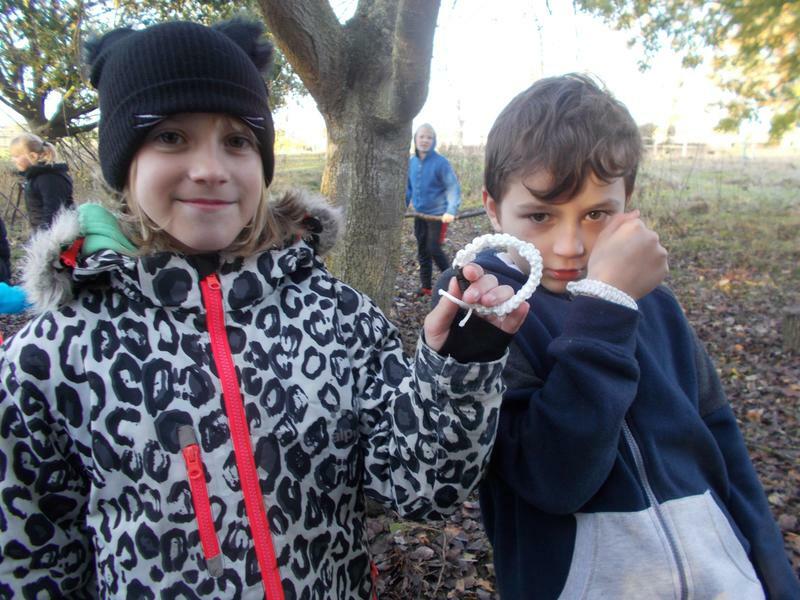 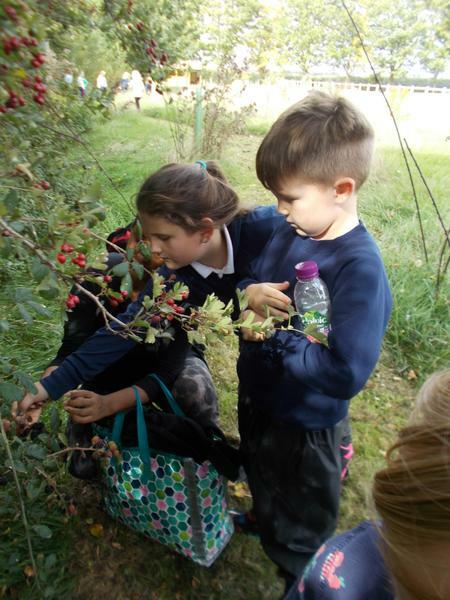 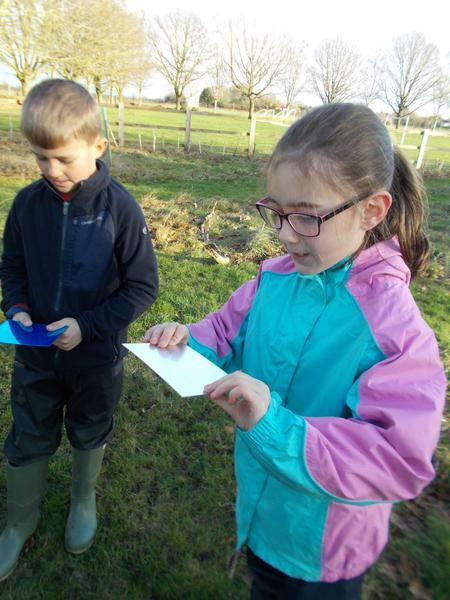 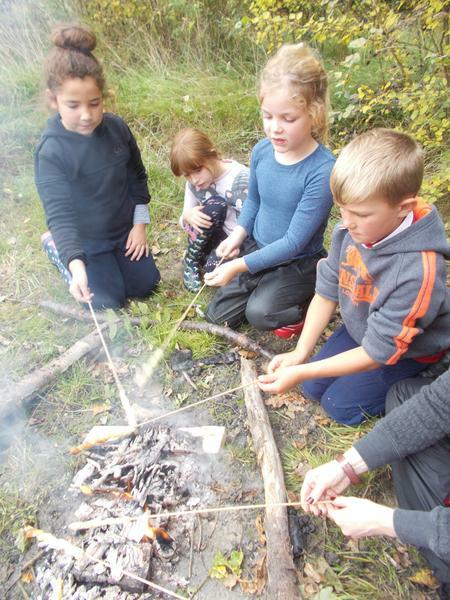 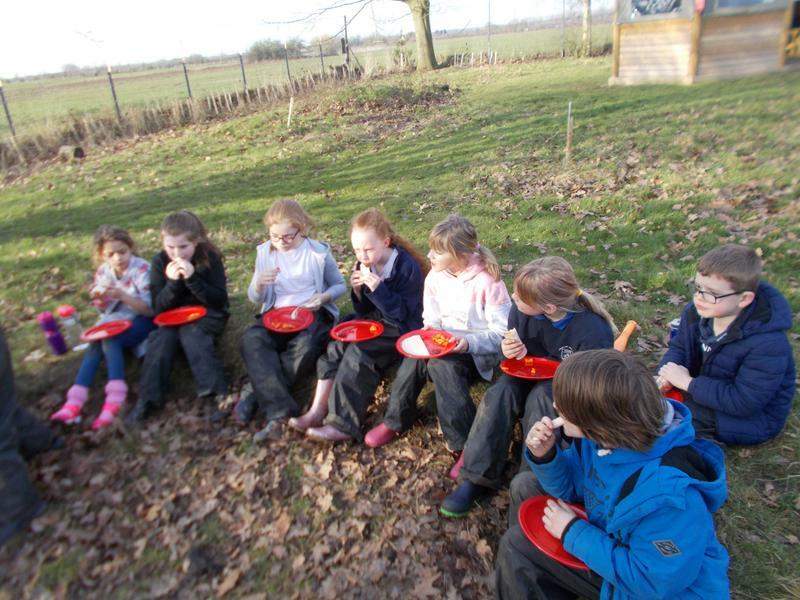 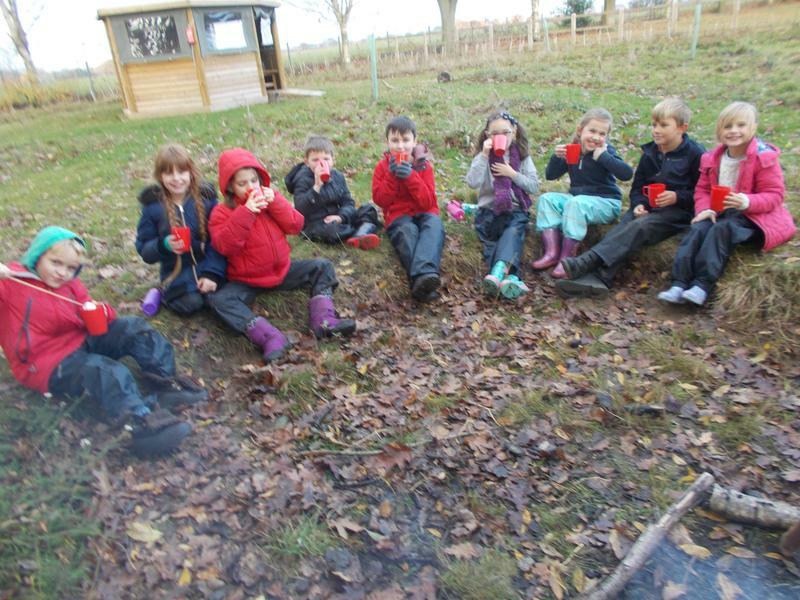 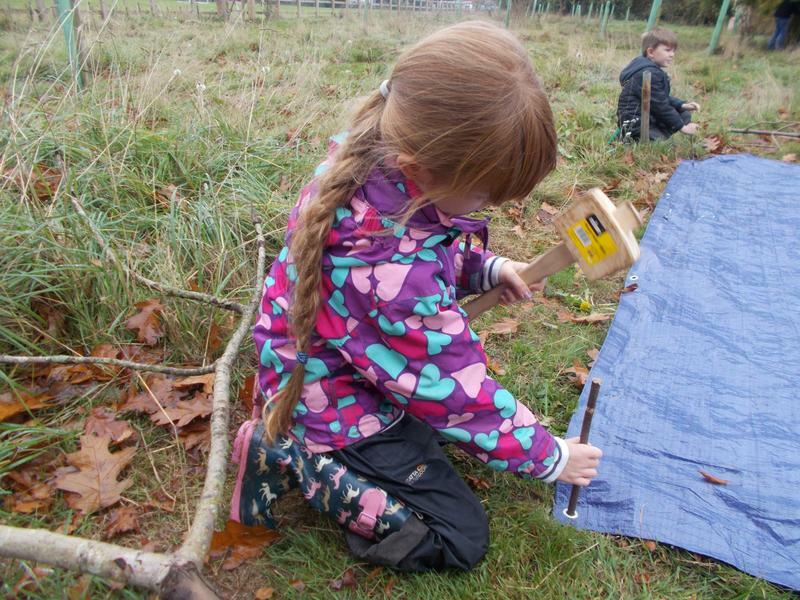 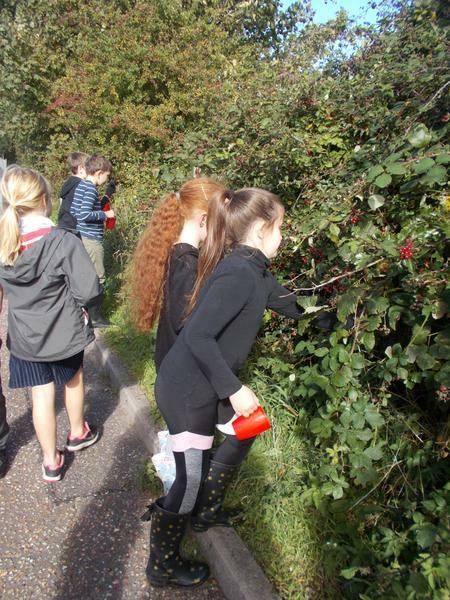 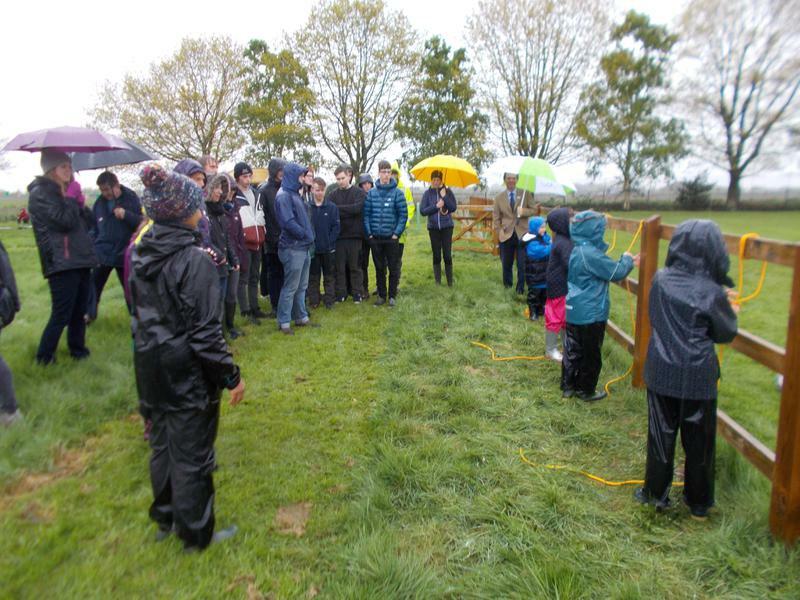 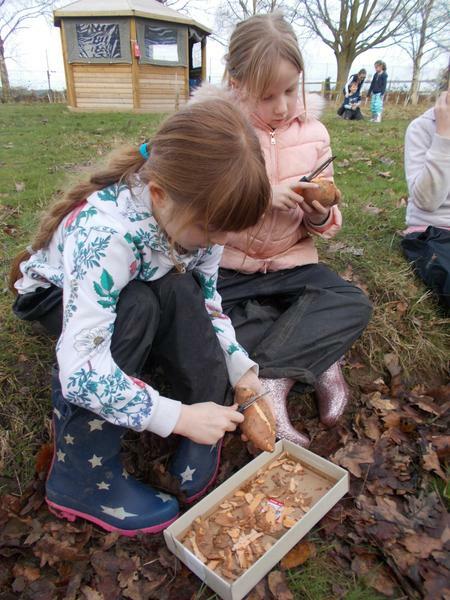 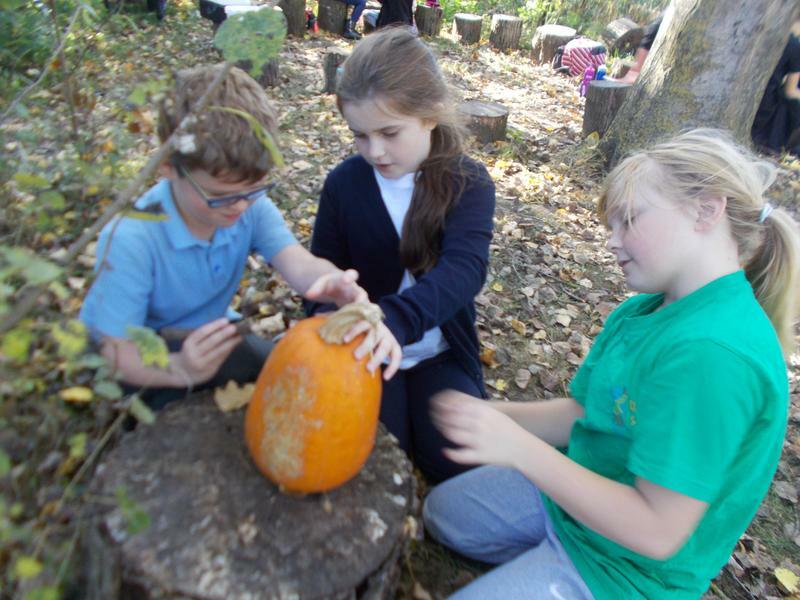 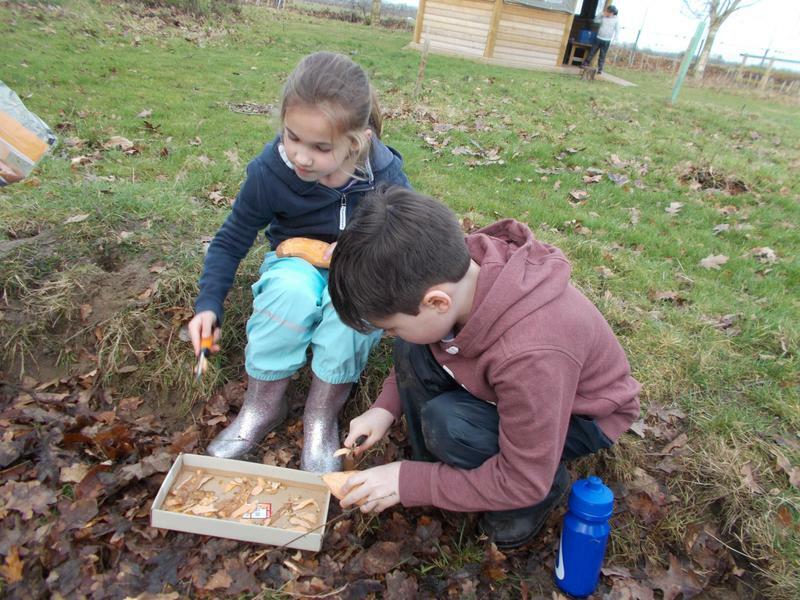 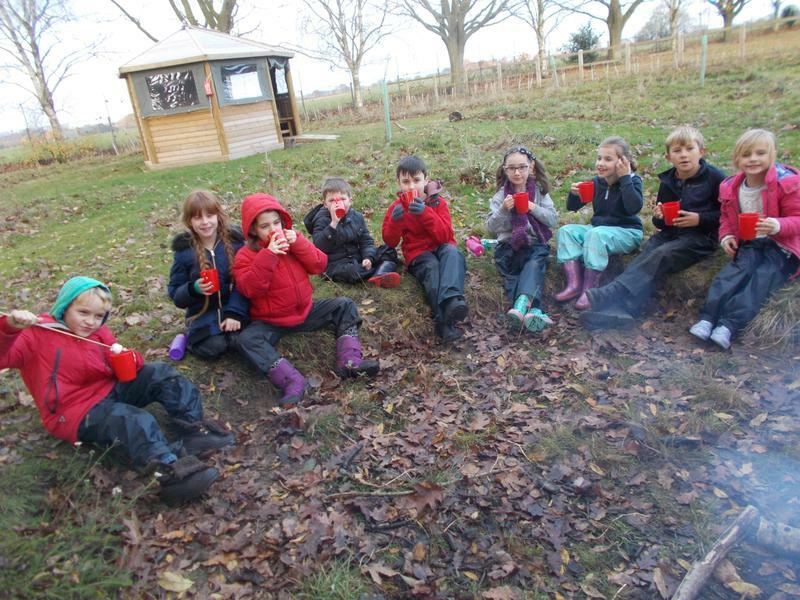 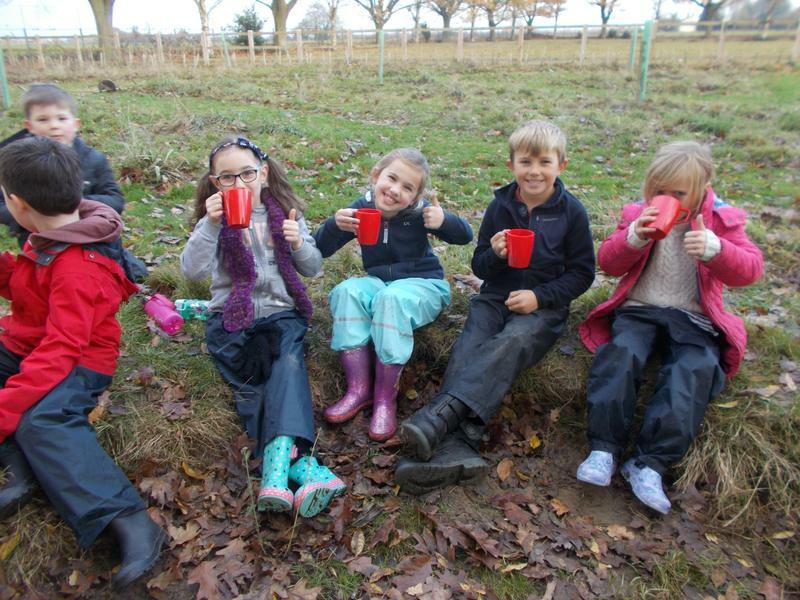 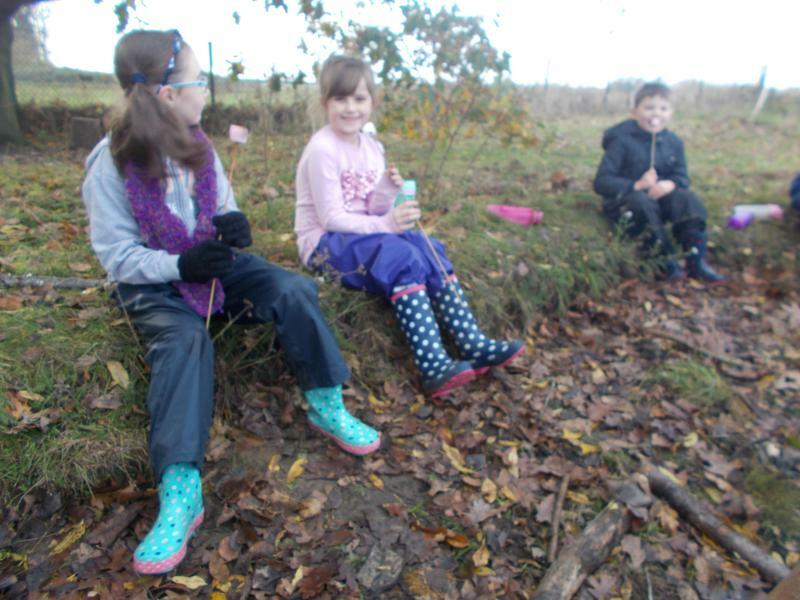 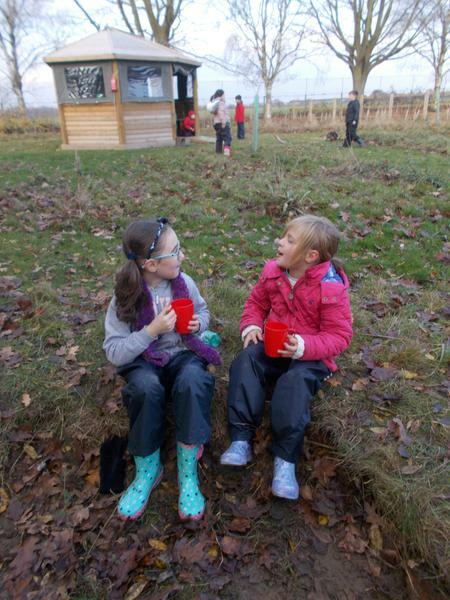 We also appeared on the EDP website (http://www.edp24.co.uk/news/education/forest-school-hingham-primary-opening-2018-outdoor-learning-1-5510127) and the front page and p32 of the Attleborough Mercury. 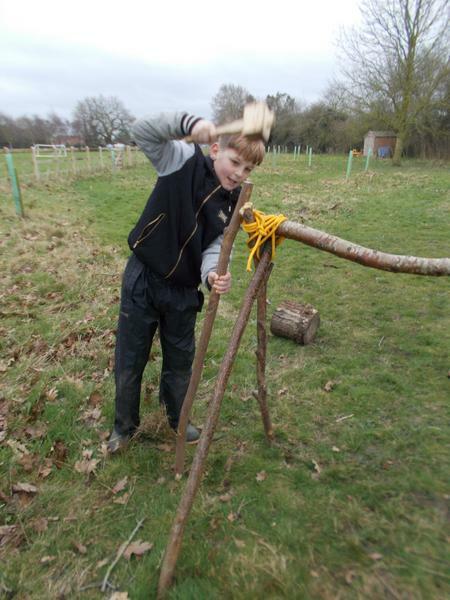 Woodland Trust Trees Planted The team from Easton and Otley College plant trees in the new Forest School area. 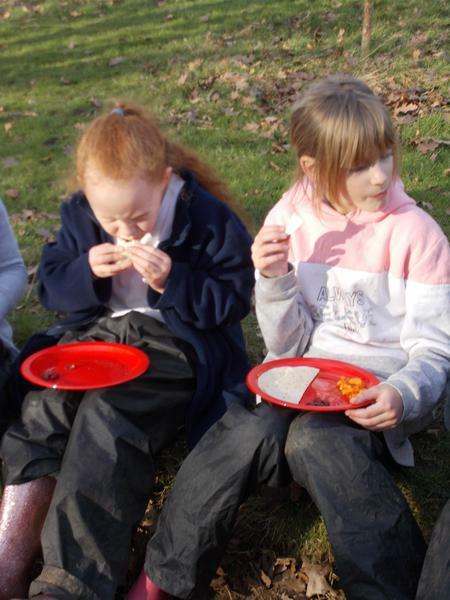 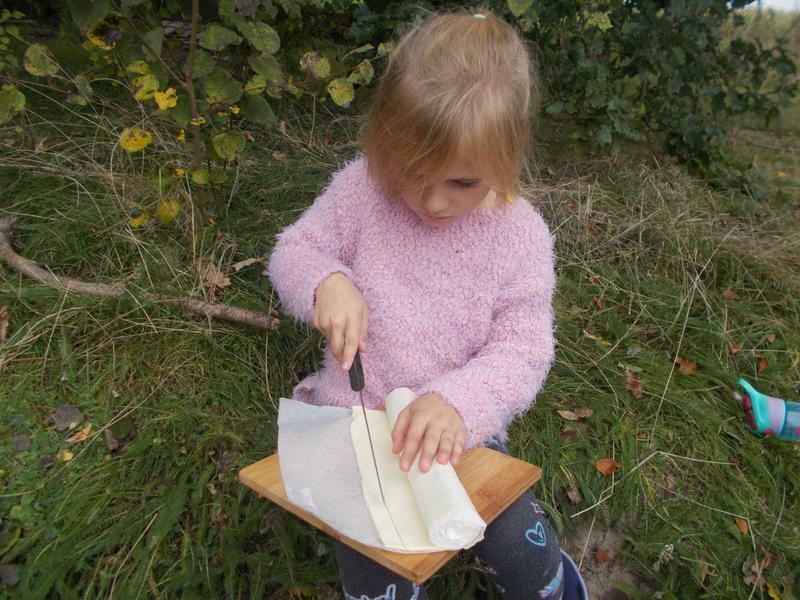 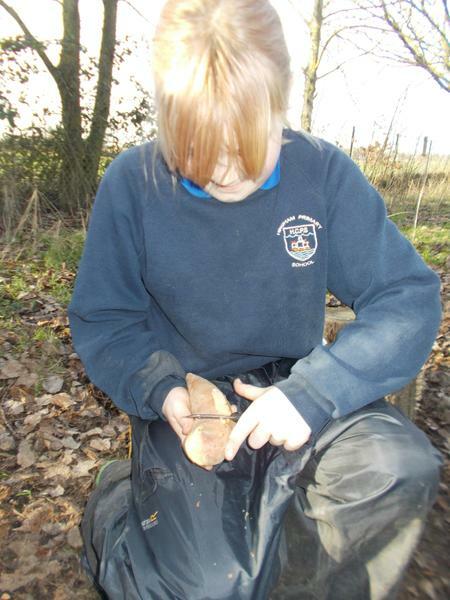 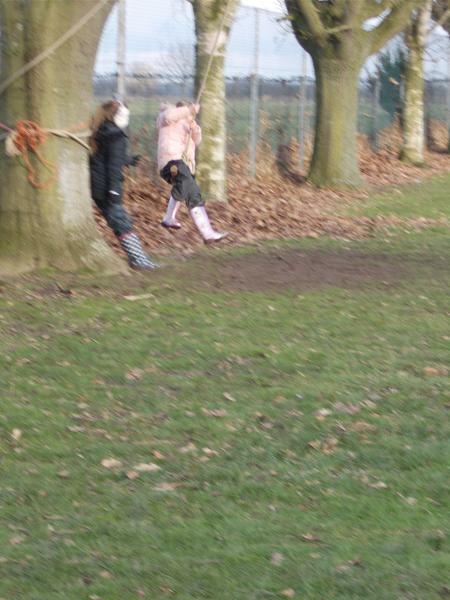 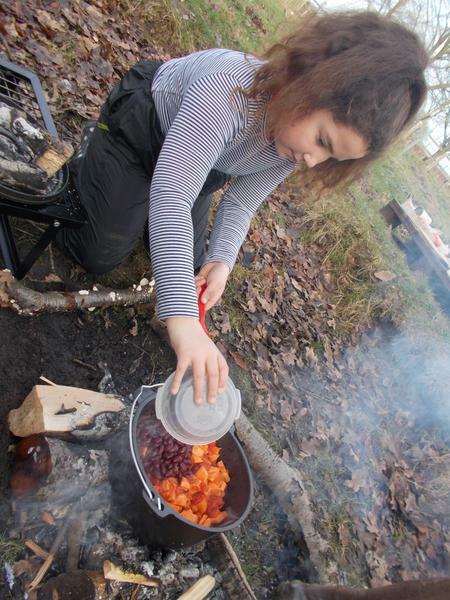 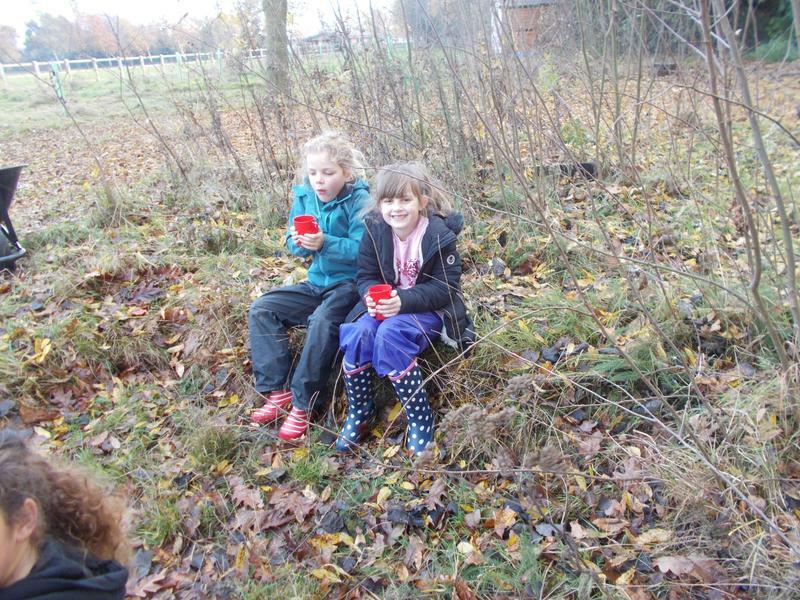 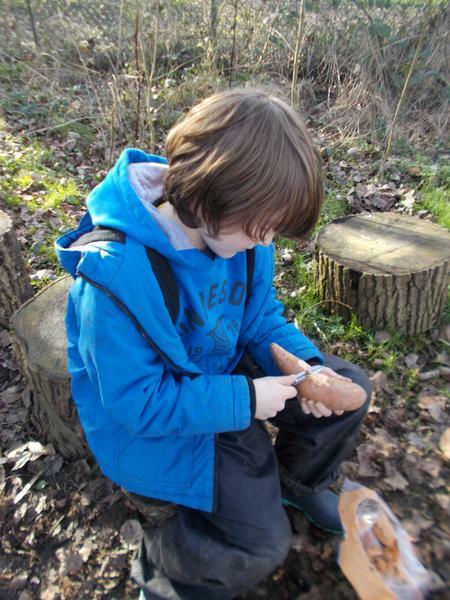 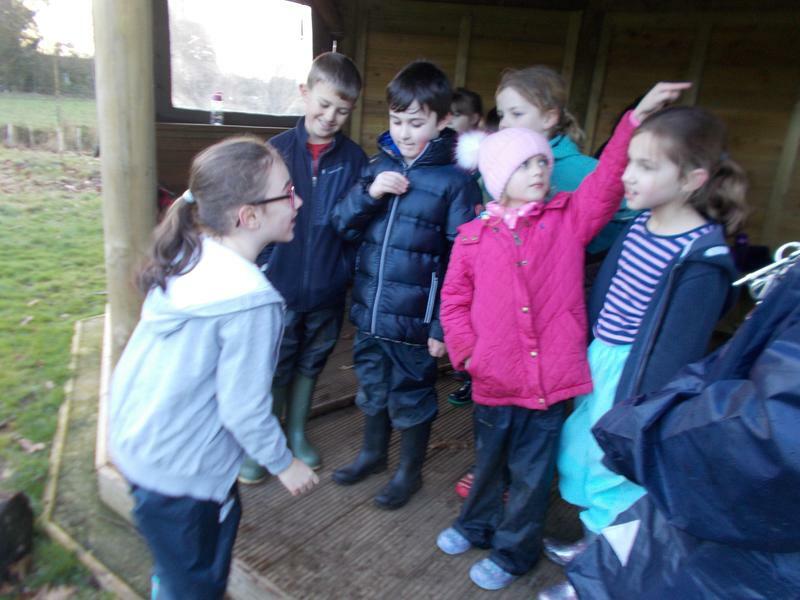 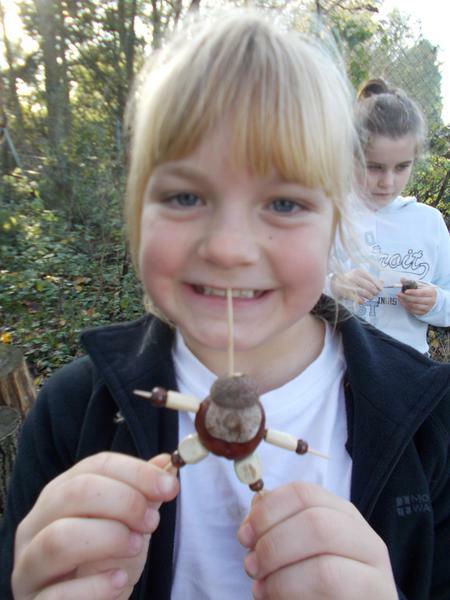 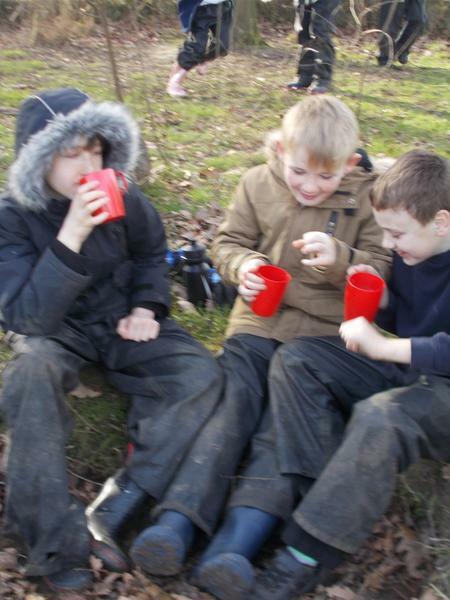 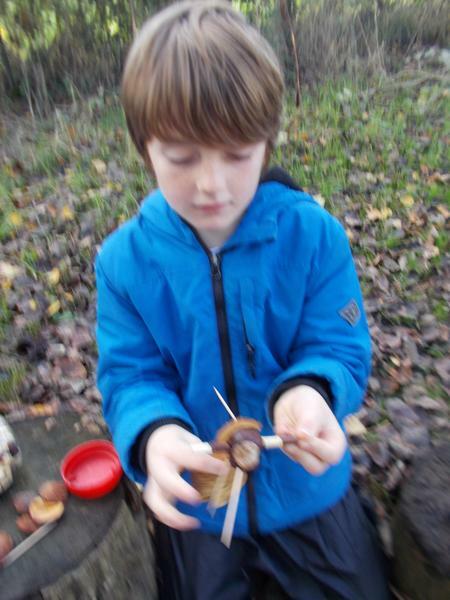 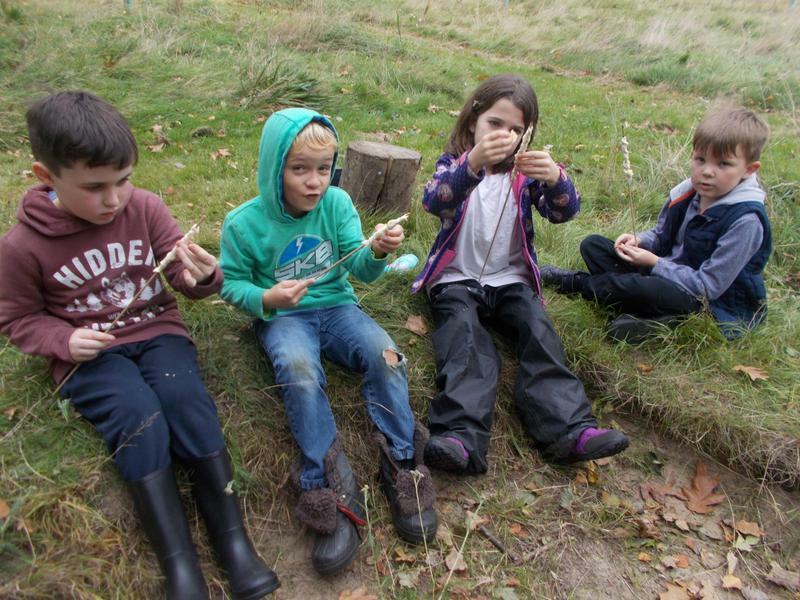 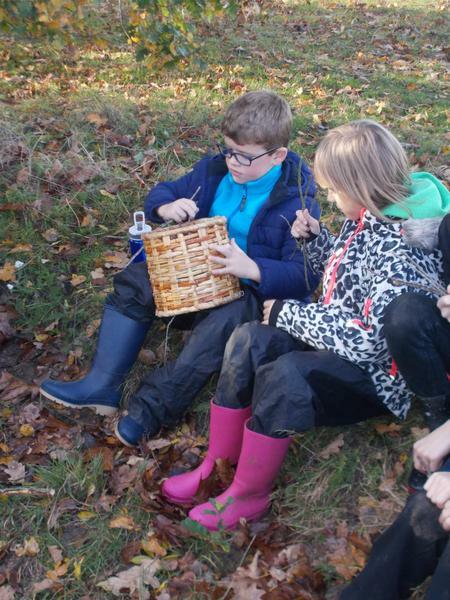 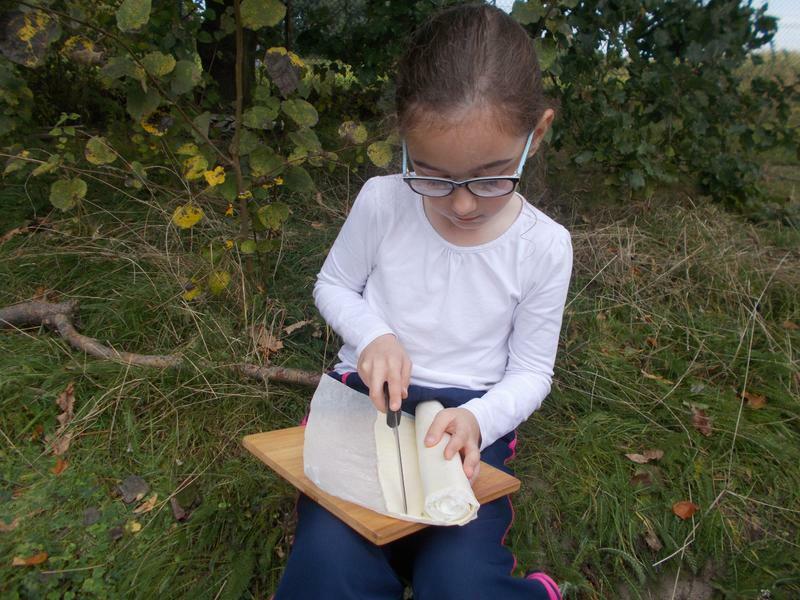 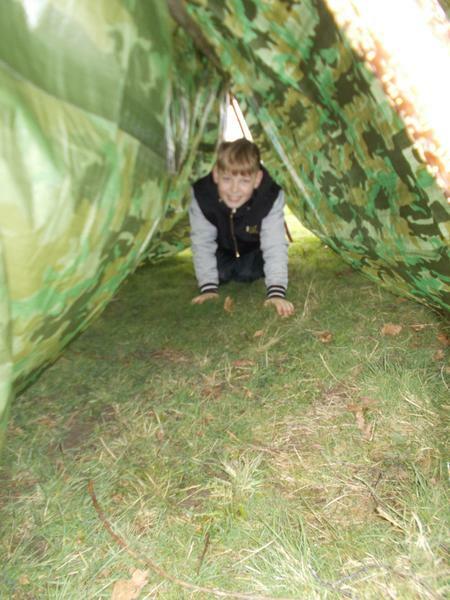 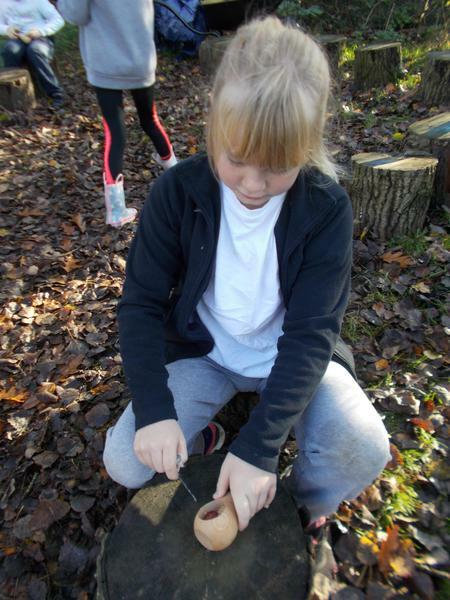 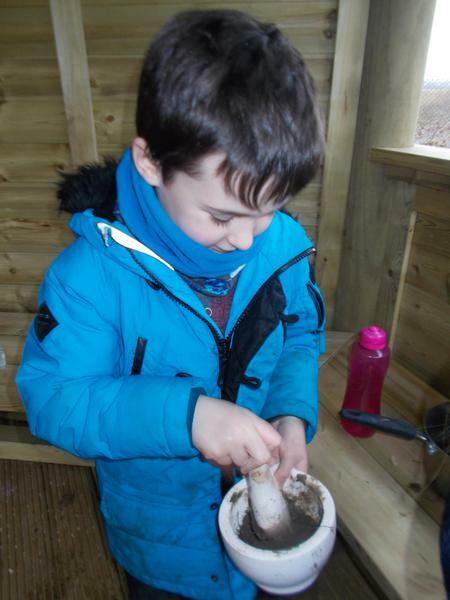 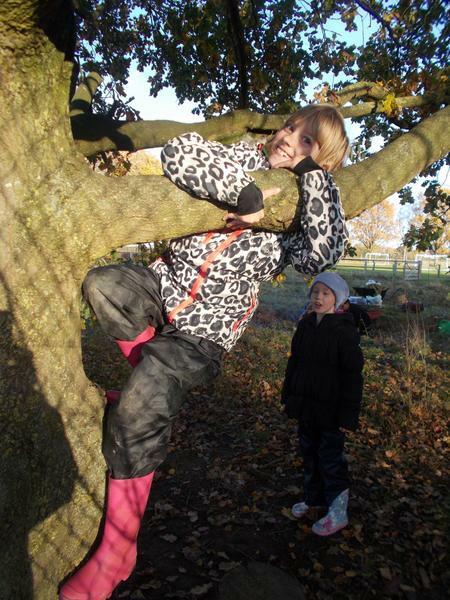 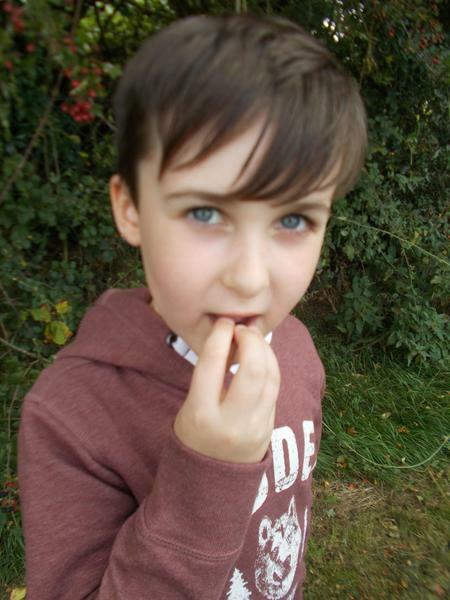 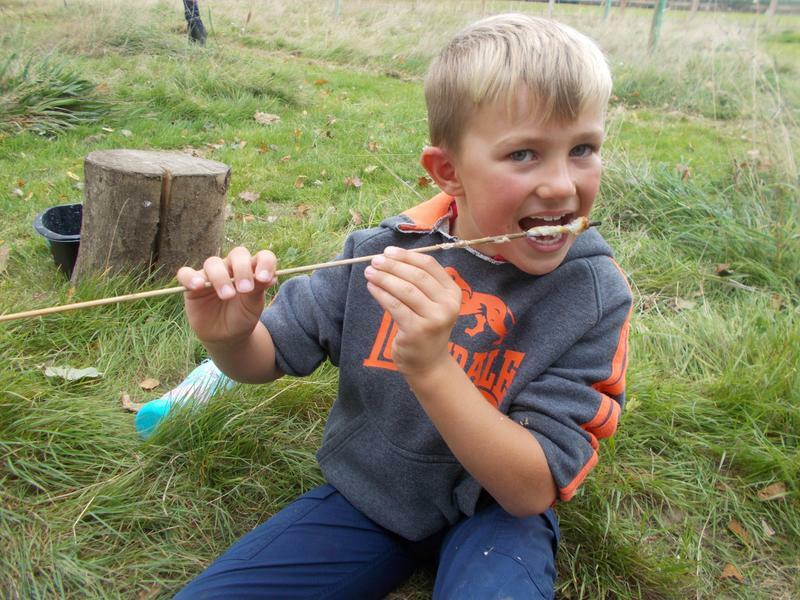 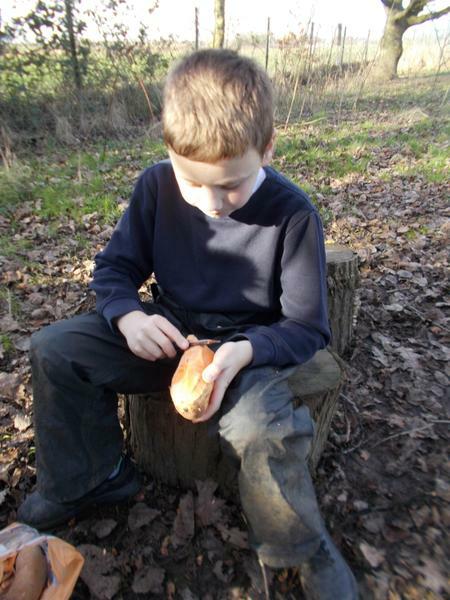 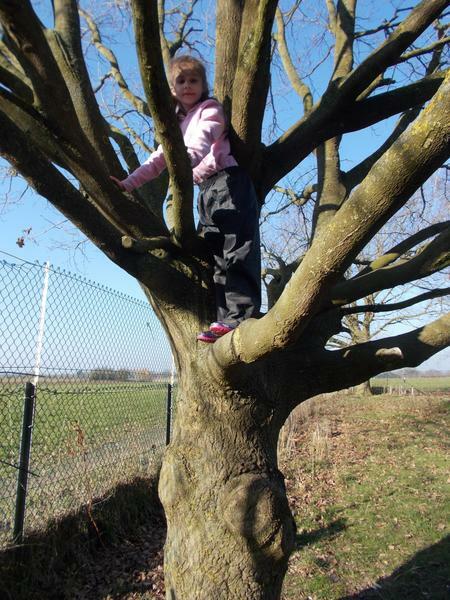 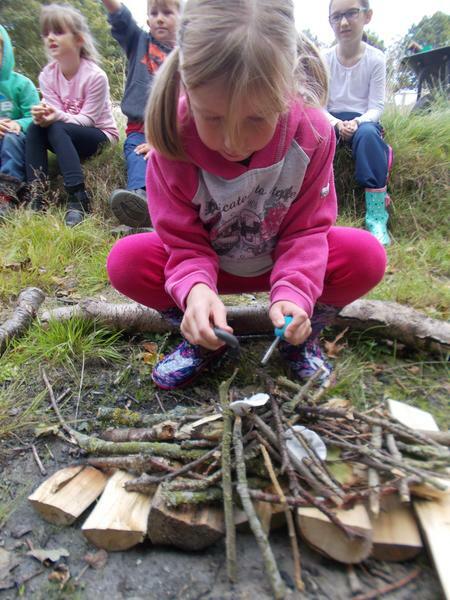 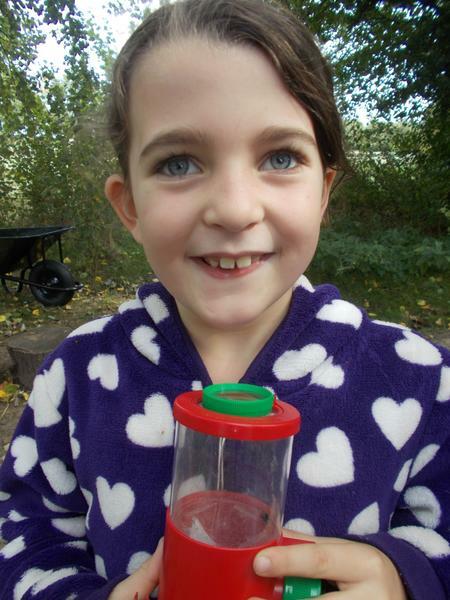 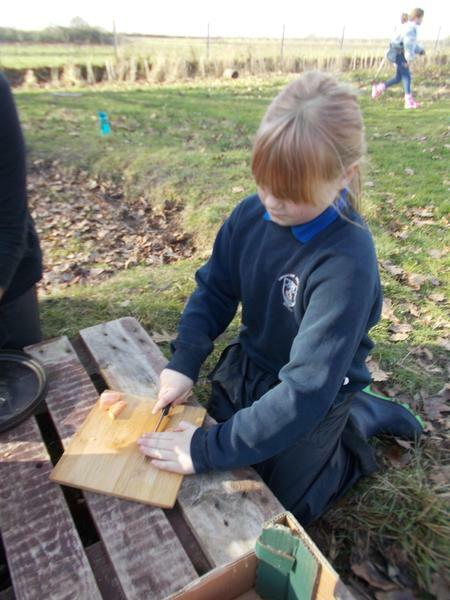 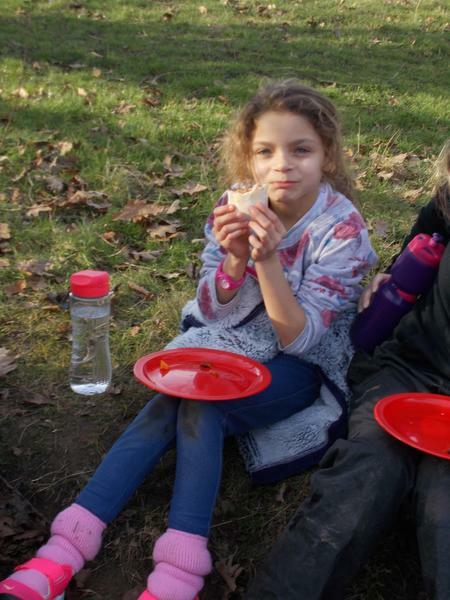 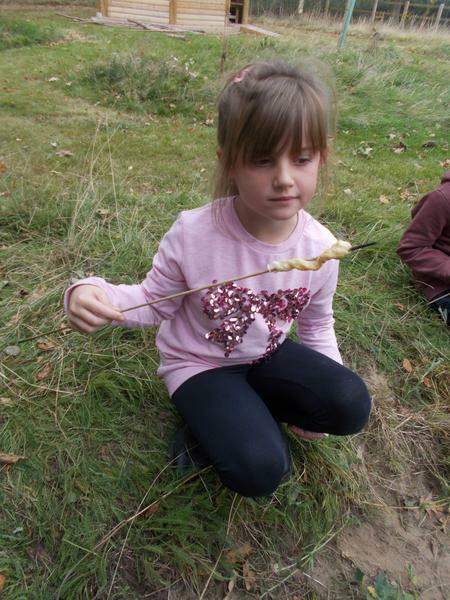 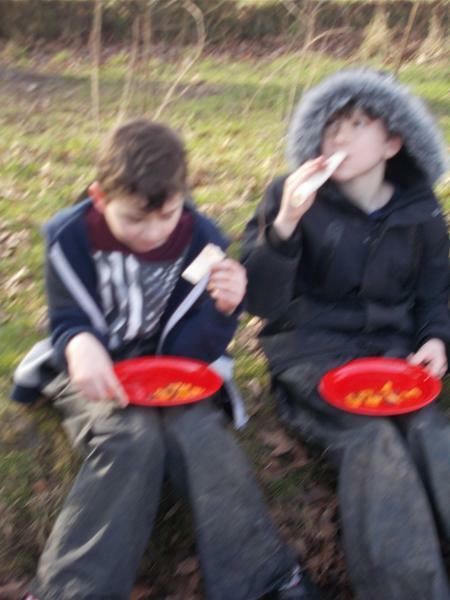 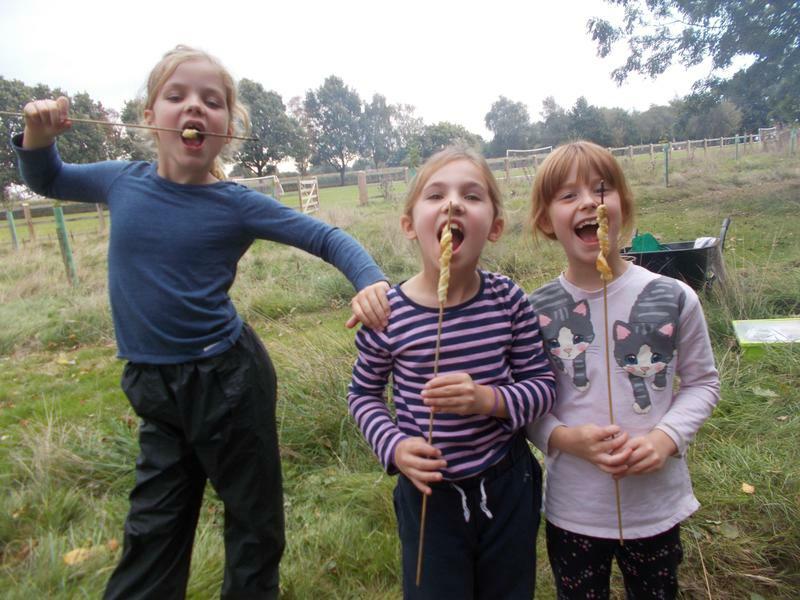 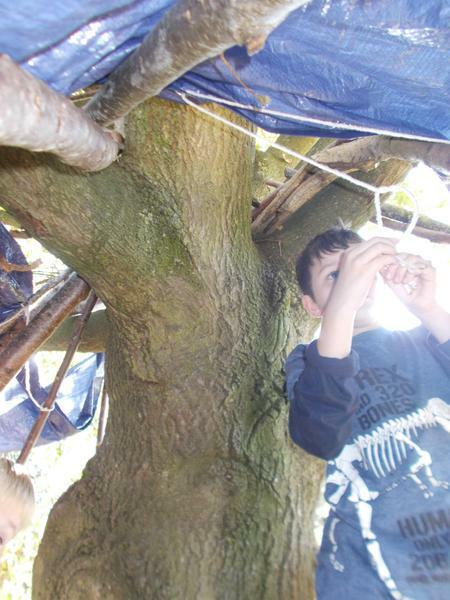 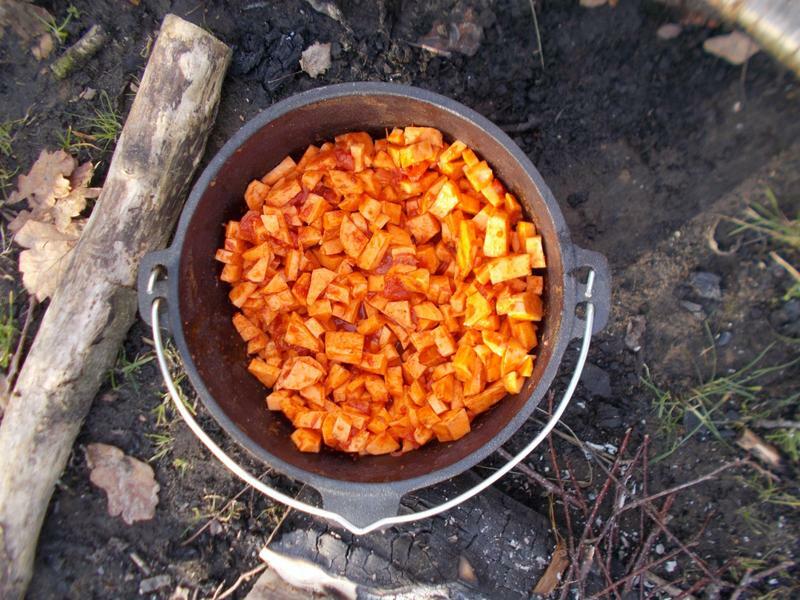 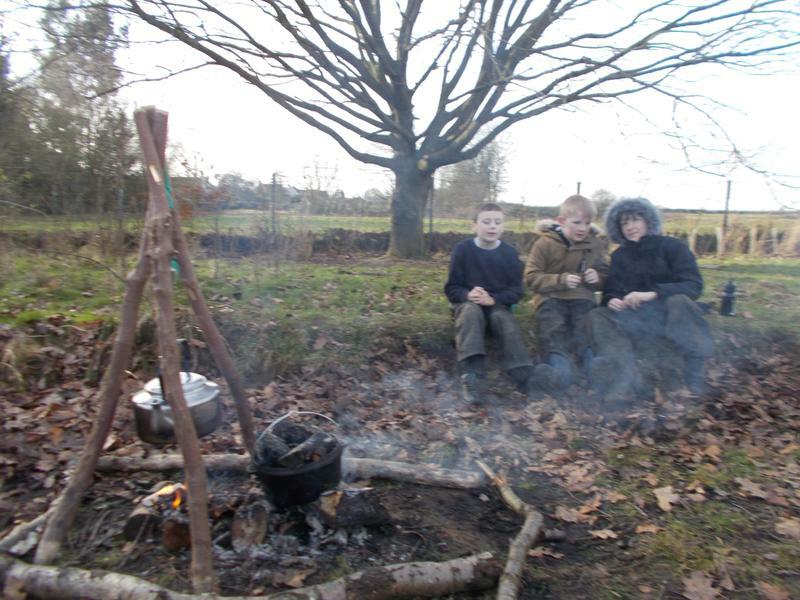 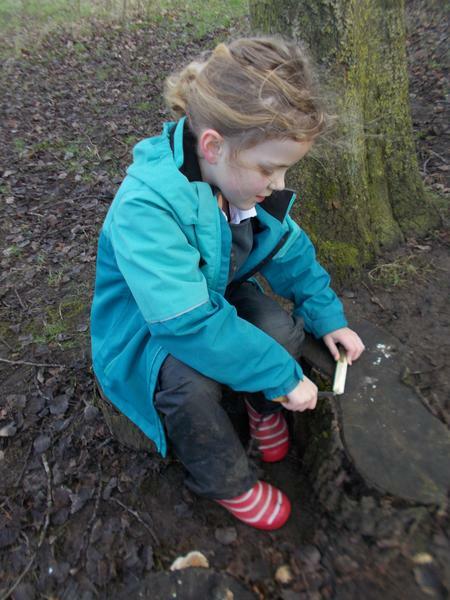 Further information on Forest School can be found online or by using the links below. 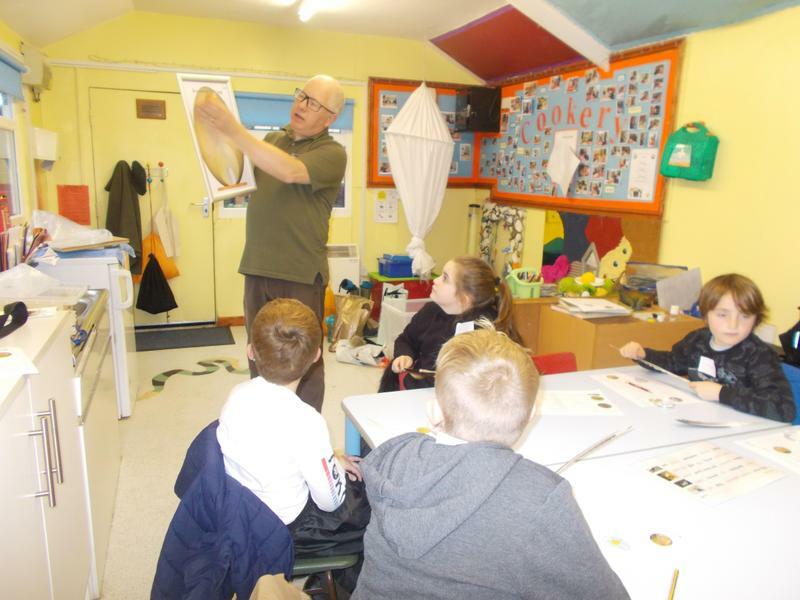 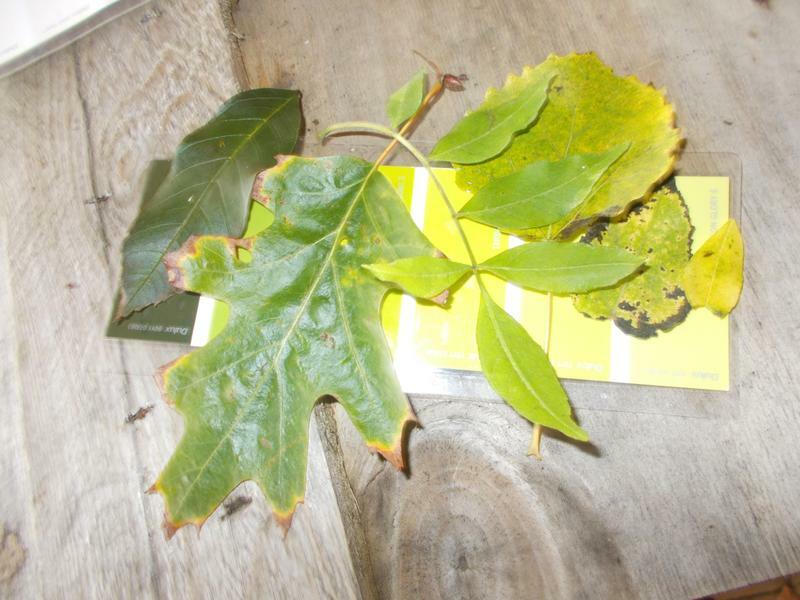 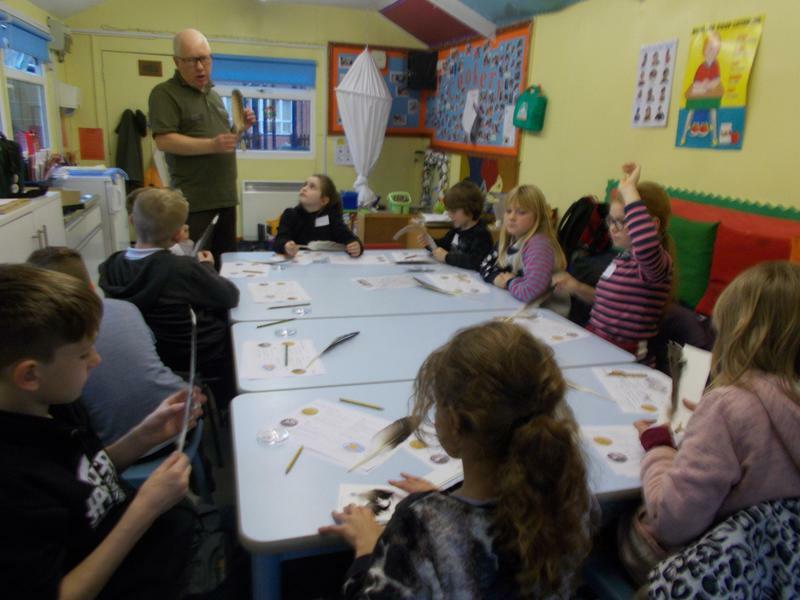 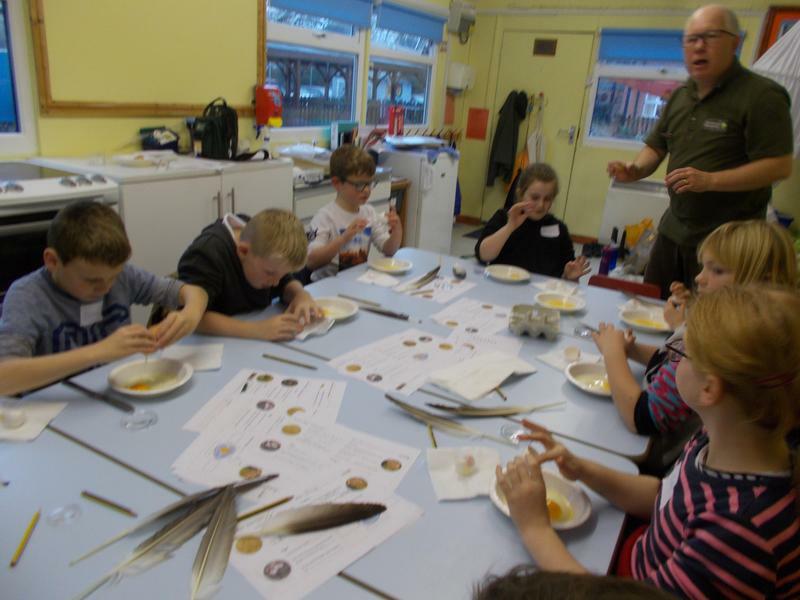 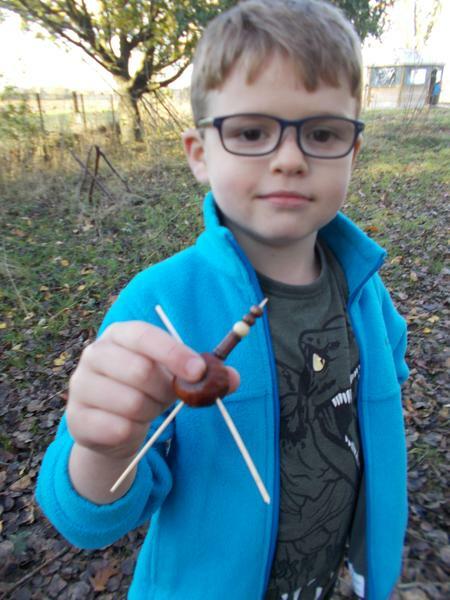 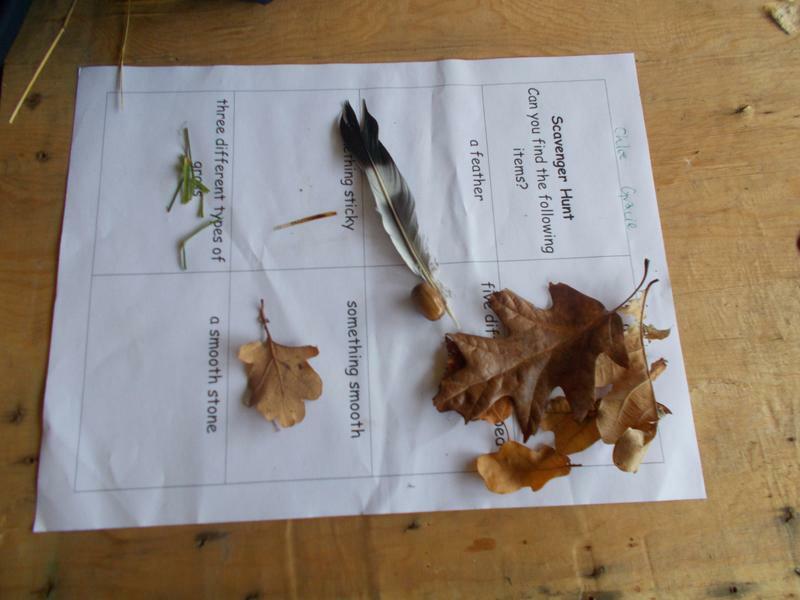 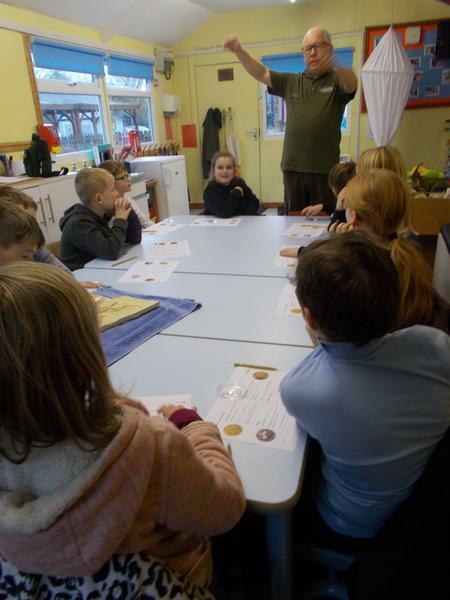 On Wednesday 28th November Allan Archer, the Education Officer at Pensthorpe Natural Park, led our Forest School session. 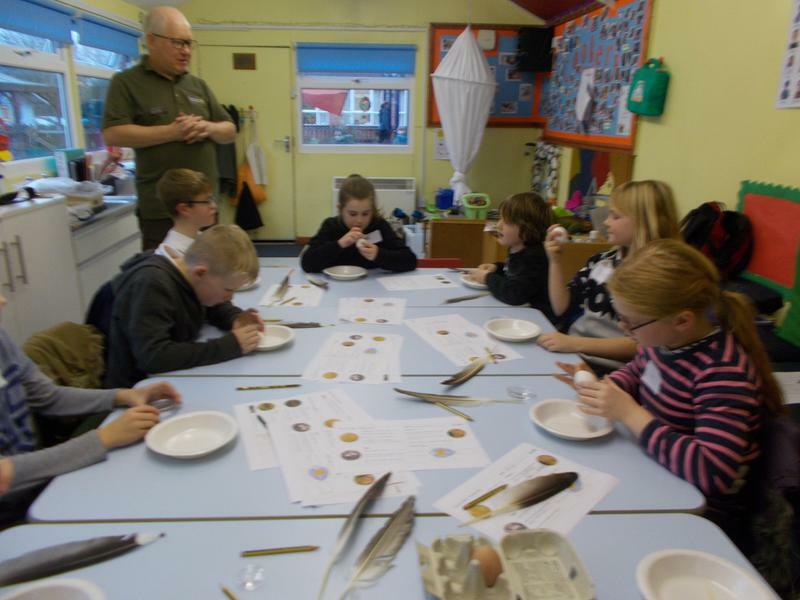 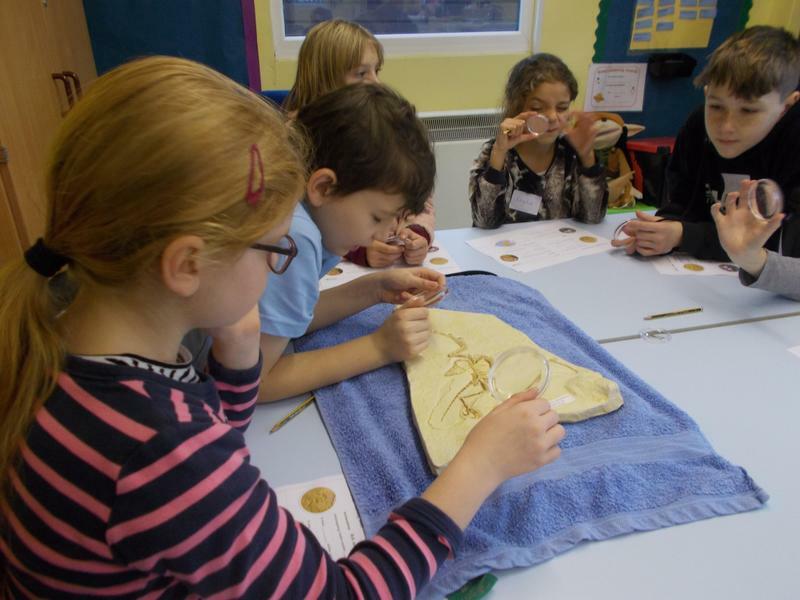 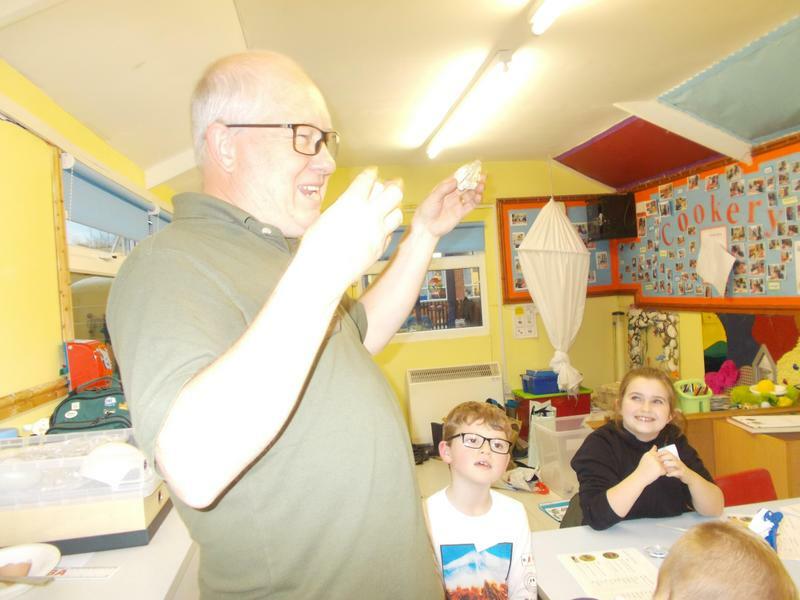 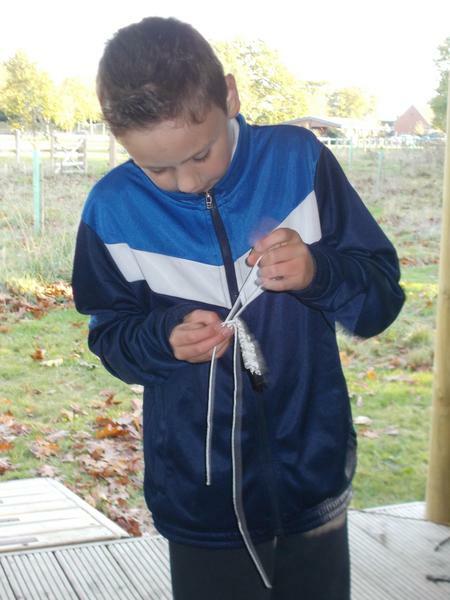 He started by talking to Y4/5 about the evolution of birds and showed us different feathers which we investigated to work out which type of bird they may have come from. 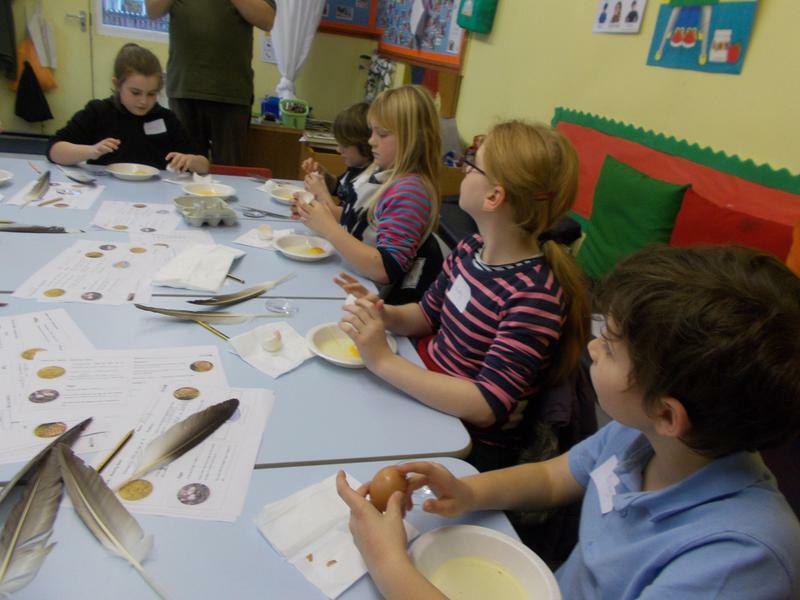 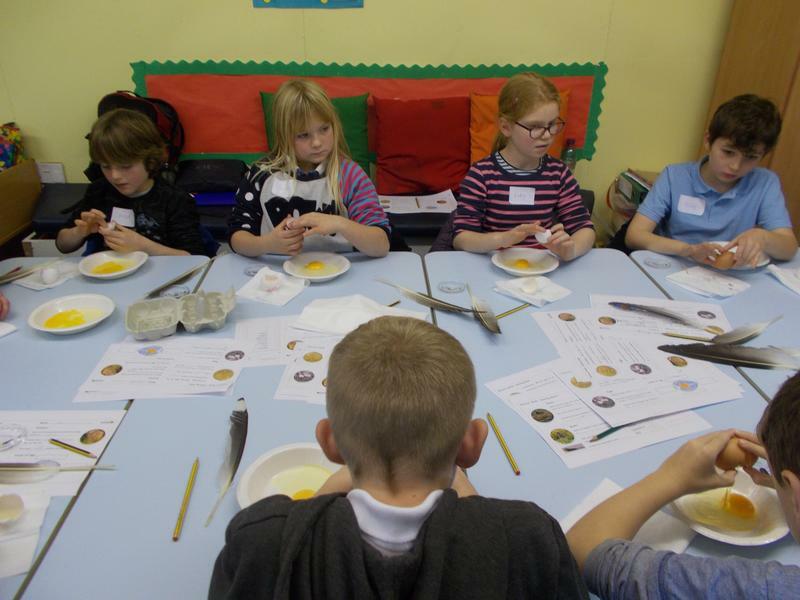 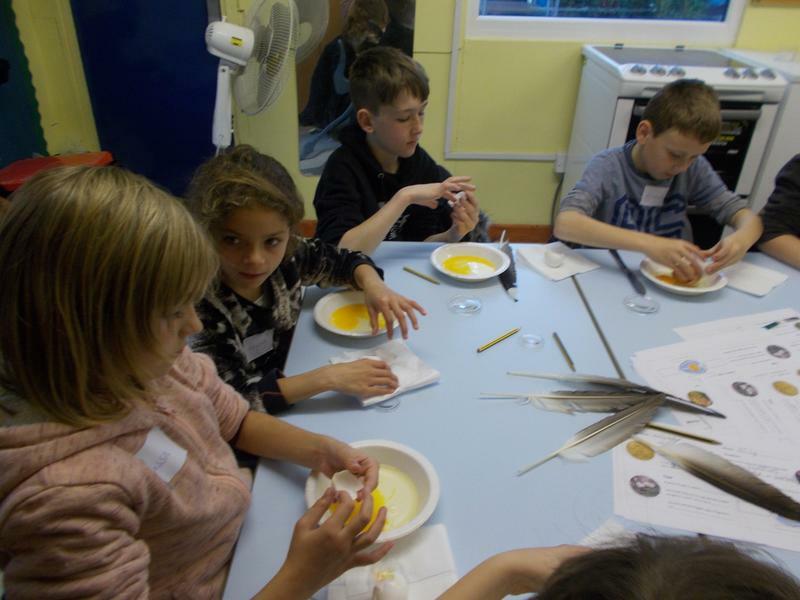 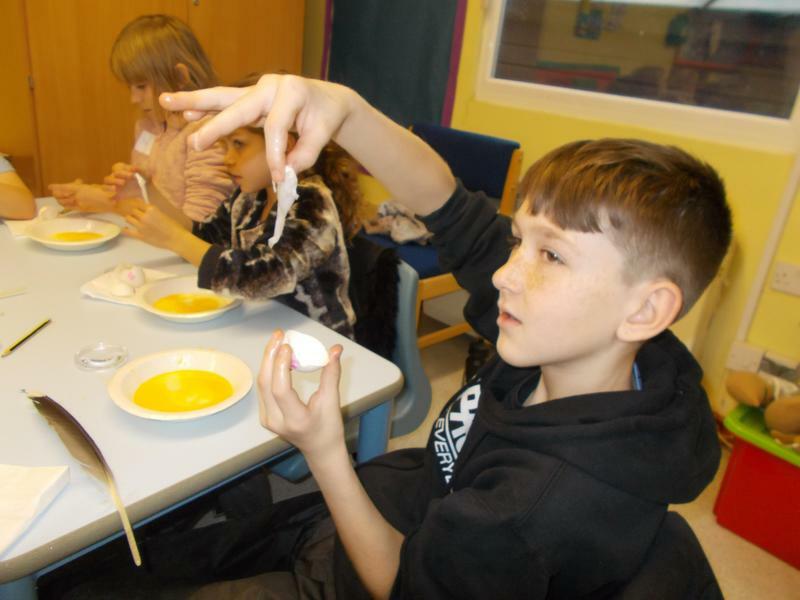 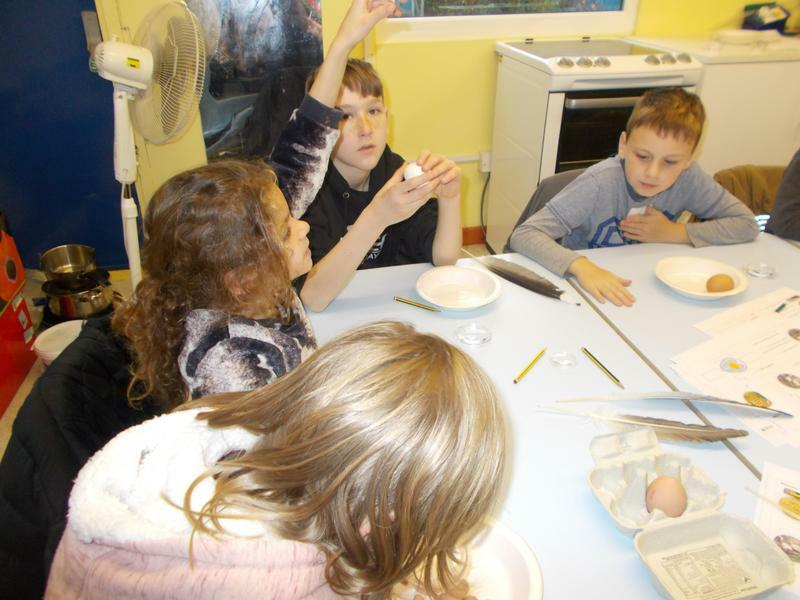 We dissected an egg and looked closely at the different parts and how they helped in the development of the chick. 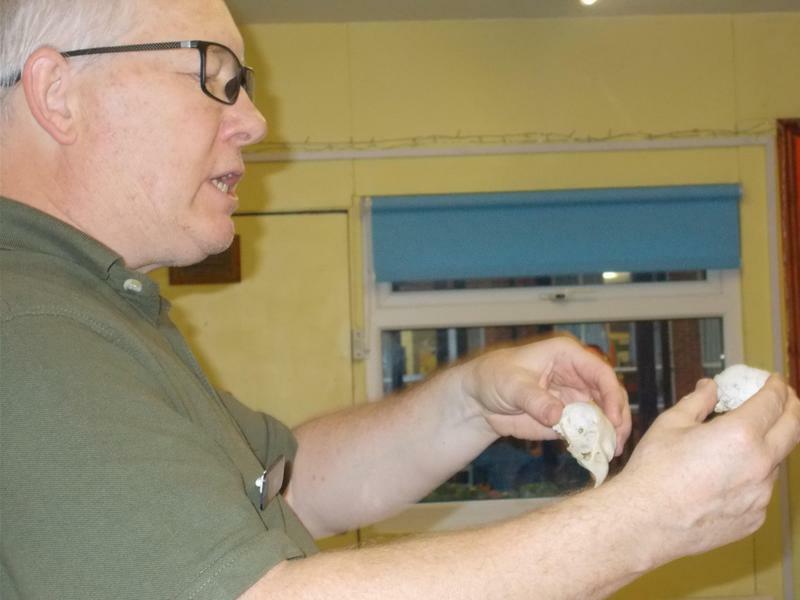 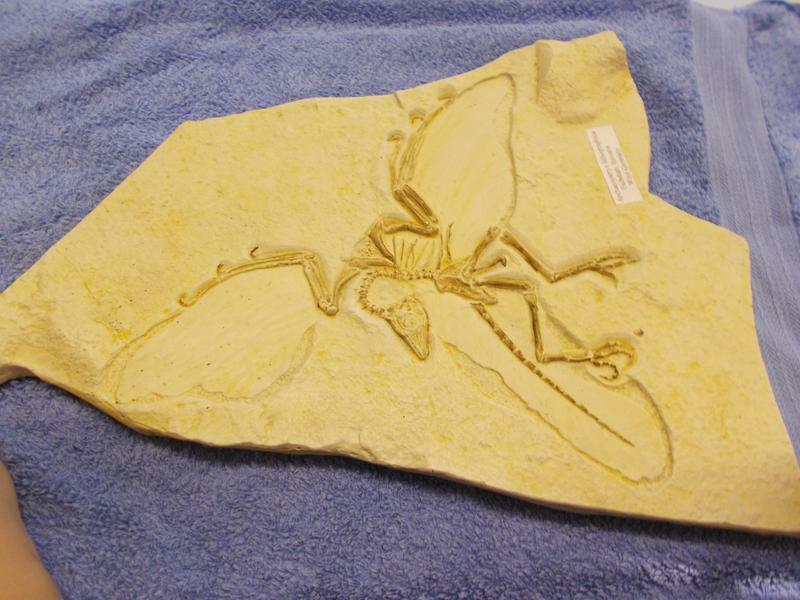 After that, we looked at the shapes of different birds' skulls and tried to work out their diet from the shape of their beaks. 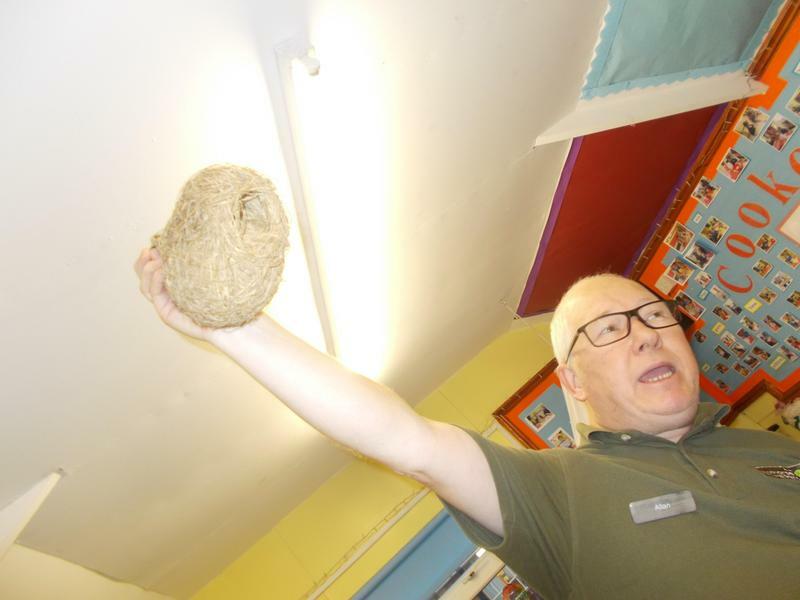 Finally, we investigated some abandoned birds' nests. 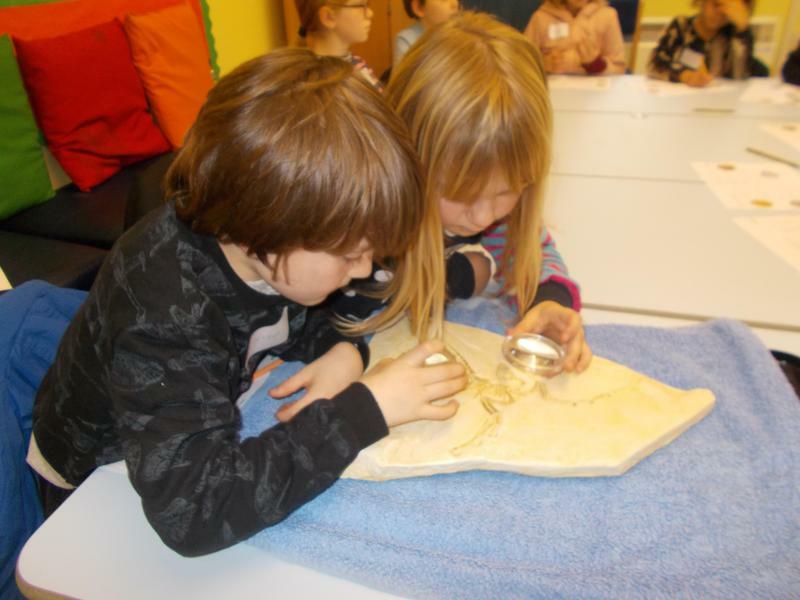 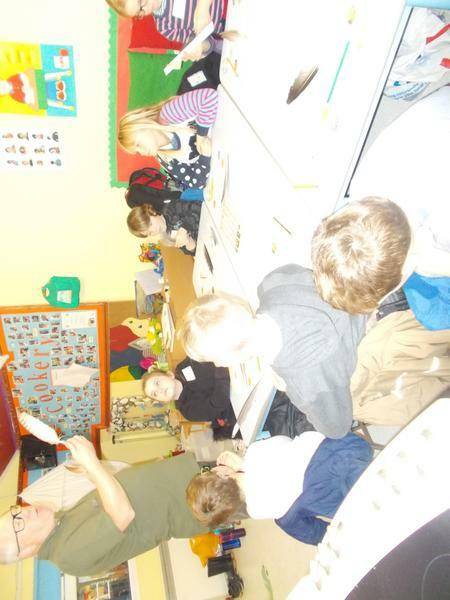 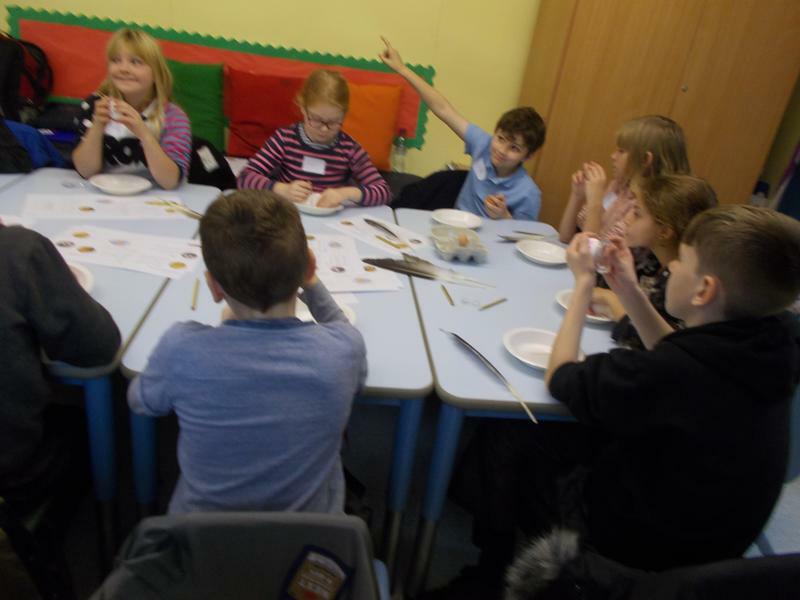 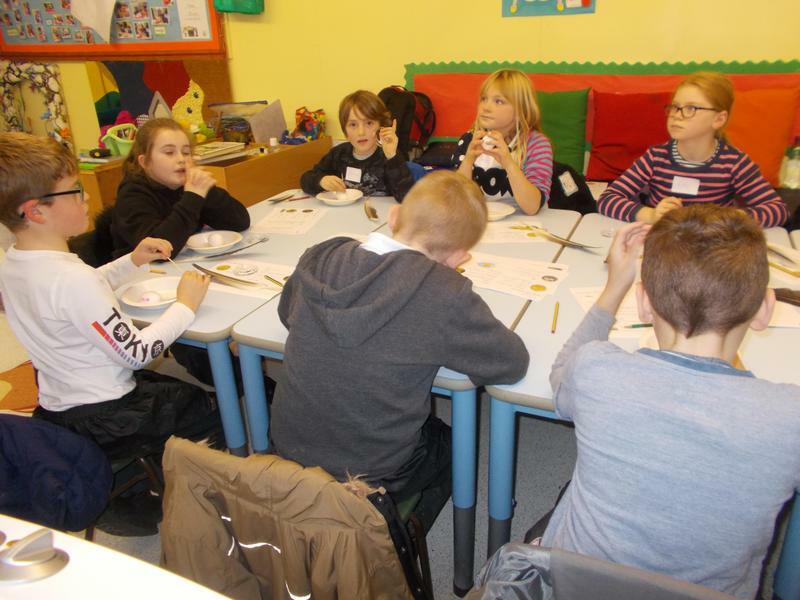 We all thoroughly enjoyed the session and are now keen to see the different types of birds that visit our school.